TOP GUN-USA SPORTS "BUNNY BASH"
"A SIX (6) PACK OF BOWNET WEIGHTED BALLS FOR ALL TEAMS THAT CONFIRM ON TUESDAY BY 5:00PM WITH PAYMENT, PRIOR TO THAT WEEKEND TOURNANENT. 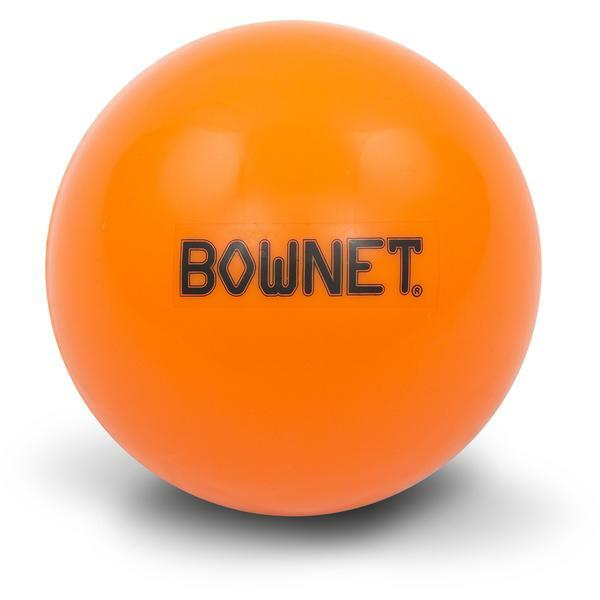 ALL TEAMS THAT ARE ENTERED AND PRE-PAID BY TUESDAY APRIL 16TH WILL RECEIVE A SIX PACK OF BOWNET WEIGHTED TRAINING BALLS. ALL TEAMS WILL PLAY (2) POOL GAMES TO SEED SINGLE ELIMINATION. TOP GUN-USA SUPPLIES ALL GAME BALLS. All Winners in all divisions will also receive a FREE PAID BERTH to all 8 TOURNAMENT OF CHAMPION EVENTS this is over a $2900.00 VALUE. "2019 TOP GUN-USA SPORTS" "BUNNY BASH BLOW OUT"
Hopping down the bunny trail the Easter Bunny will be bringing a gift. Best decorated Easter Softball gets a prize! All WINNERS WILL RECIEVE A FREE PAID BERTH TO: 2019 SC SUMMER NATIONALS IN FLORENCE SC, OR 2019 NC NATIONAL CHAMPIONSHIPS IN BENSON NC. TOP GUN SPORTS "BUNNY BASH" 'BATTLE FOR THE BLING"
Parents looking for something special to do? fireworks, baseball, kids run the bases... fun family night!! Columbia fireflies & Top Gun Baseball have paired up & We have a special person set up to take care of y'all!! call him for group info & questions! 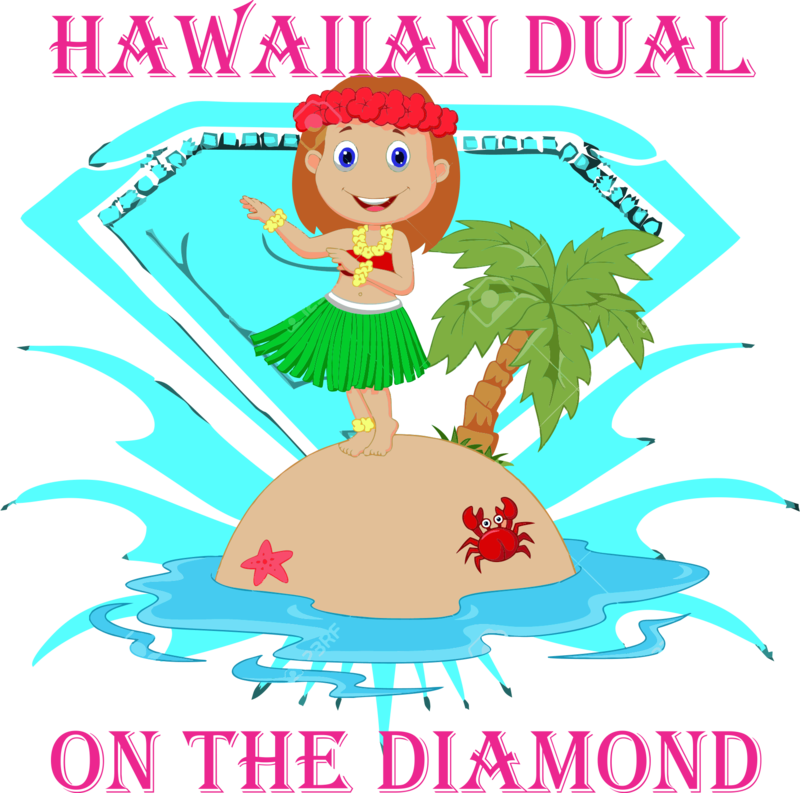 this tournament will run with baseball … no matter how many teams sign up this Holiday weekend.. we will play! we look forward to seeing y'all! All Winners in all divisions will also receive a FREE PAID BERTH to all 8 TOURNAMENT OF CHAMPION EVENTS this is over a $2900.00 VALUEAS WELL AS TO THE 2019 SC SUMMER NATIONALS IN FLORENCE SC AND TO THE 2019 NC SUMMER NATIONALS IN BENSON NC. ALL WINNERS IN ALL BRACKETS WILL RECEIVE A CHOICE OF THE FOLLOWING IN ADDITION TO TOURNAMENT AWARDS. 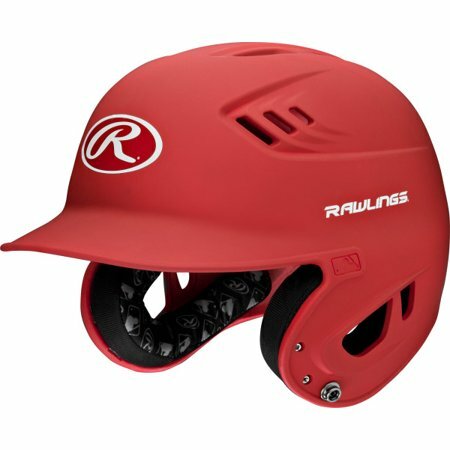 HELMETS, BATPACKS, JERSEYS, GLOVES OR CHAMPIONSHIP BELTS. 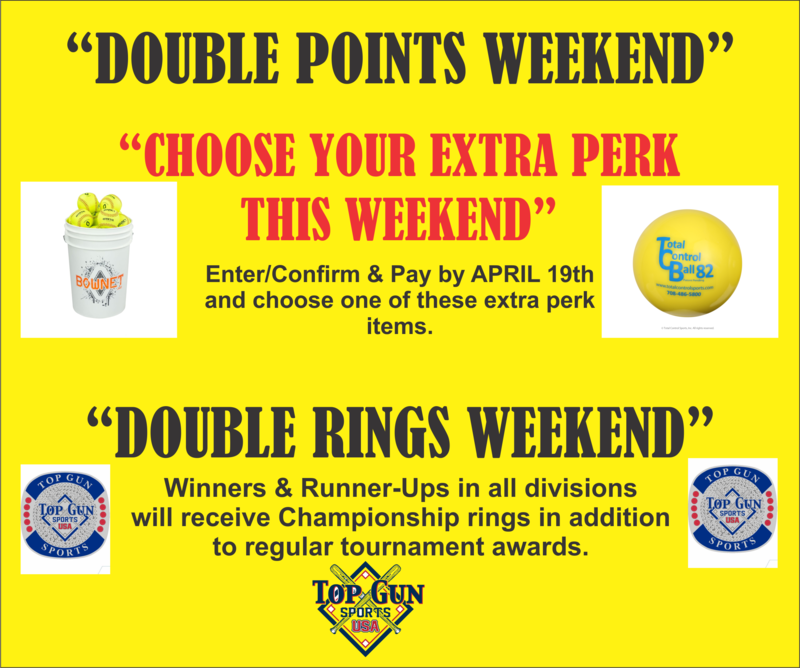 TOP GUN-USA "NC SPRING CHAMPIONSHIPS" "DOUBLE RINGS WEEKEND"
"WANT AN EXTRA PERK THIS WEEKEND"? ENTER AND PAY BY FRIDAY APRIL 19TH AND CHOOSE ONE OF THE FOLLOWING TO BE WAITING ON YOU WHEN YOU CHECK IN THE MORNING OF THE TOURNAMENT. DON'T WAIT UNTIL THE LAST MINUTE AS TOURNAMENT MAY FILL UP FAST. "12 TOTAL CONTROL PRACTICE BALLS"
THIS IS ADDITION TO DOUBLE RINGS THIS WEEKEND-WINNERS AND RUNNER-UPS WILL RECEIVE CHAMPIONSHIP RINGS IN ADDITION TO INDIVIDUAL AWARDS AND TEAM PLAQUES. "2019 TOP GUN-USA SPORTS" " ONE DAY" "BOWNET TRAINING BALLS"
"FREE (6) SIX PACK OF WEIGHTED BOWNET BALLS"
"ALL TEAMS ENTERED THIS WEEKEND WILL RECEIVE A SIX (6) PACK OF BOWNET WEIGHTED BALLS"
ALL TEAMS ENTERED WILL RECEIVE A SIX PACK OF BOWNET TRAINING BALLS. 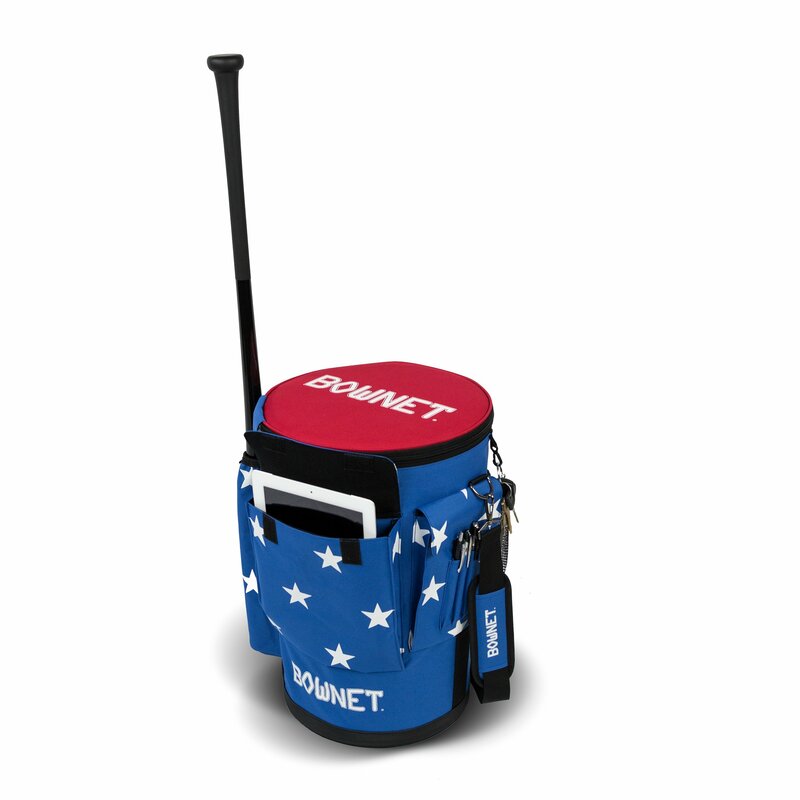 Teams must sign up and pay by the deadline date to be eligible for the BOWNET BALL,. All Winners in all divisions will also receive a FREE PAID BERTH to all 8 TOURNAMENT OF CHAMPION EVENTS this is over a $2900.00 VALUE. 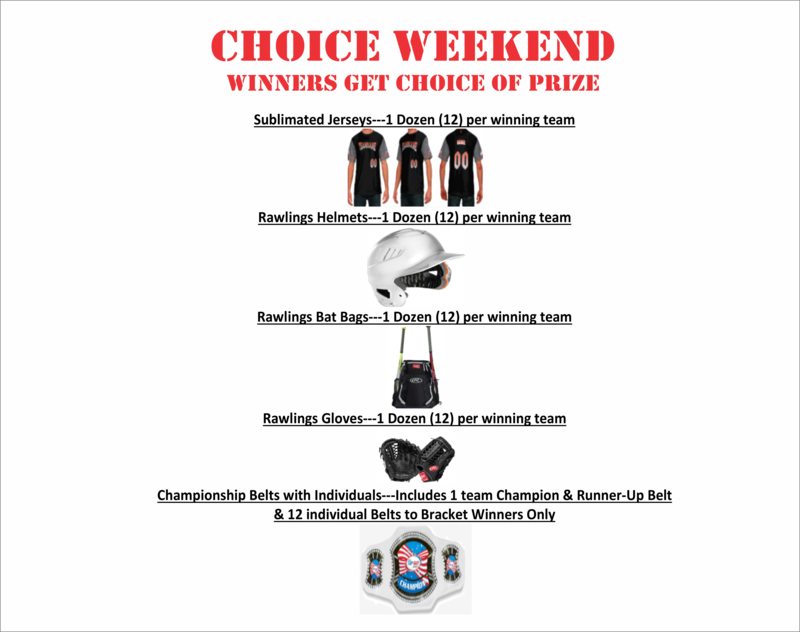 "2019 TOP GUN-USA SPORTS" "BOWNET TRAINING BALLS"
"BIG RALEIGH DOUBLE PERK WEEKEND"
"FREE BOWNET SIX (6) PACK OF WEIGHTED BALLS WEEKEND AND BATTING JACKETS AND T-SHIRTS"
"FREE SIX (6) PACK OF BOWNET WEIGHTED BALL FOR ALL TEAMS ENTERED THIS WEEKEND"
"WINNERS IN AGES, 8U, 10U, 12U, WILL RECEIVE (12) TOP GUN BATTING JACKETS. WINNERS AGE 14U, 16U, AND HIGH SCHOOL WILL RECEIVE TOP GUN-USA T-SHIRTS"
ALL TEAMS THAT ENTERED WILL RECEIVE A SIX PACK OF BOWNET TRAINING BALLS. ALL TEAMS WILL PLAY (2) POOL GAMES TO SEED SINGLE ELIMINATION. TOP GUN-USA SUPPLIES ALL GAME BALLS. All Winners in all divisions will also receive a FREE PAID BERTH to all 8 TOURNAMENT OF CHAMPION EVENTS this is over a $2900.00 VALUE. WINNERS IN AGES 8U, 10U, 12U, WILL RECEIVE TOP GUN BATTING JACKETS, AND WINNERS IN AGES 14U, 16U, AND HIGH SCHOOL WILL RECEIVE TOP GUN-USA T-SHIRTS. "TOP GUN-USA SPORTS" "FREE BOWNET TRAINING BALLS "
"FREE SIX (6) PACK OF BOWNET WEIGHTED BALLS"
"ALL TEAMS ENTERED THIS WEEKEND WILL RECEIVE A SIX (6) PACK OF BOWNET WEIGHTED BALLS. 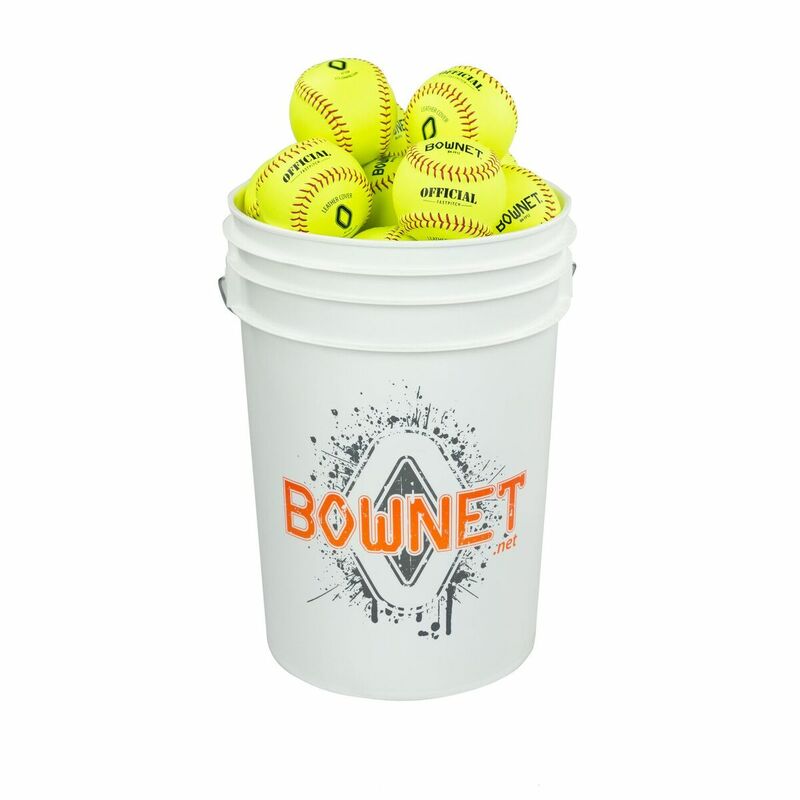 ALL TEAMS THAT ARE ENTERED WILL RECEIVE A SIX PACK OF BOWNET WEIGHTED TRAINING BALLS. ALL TEAMS WILL PLAY (2) POOL GAMES TO SEED SINGLE ELIMINATION. TOP GUN-USA SUPPLIES ALL GAME BALLS. All Winners in all divisions will also receive a FREE PAID BERTH to all 8 TOURNAMENT OF CHAMPION EVENTS this is over a $2900.00 VALUE. 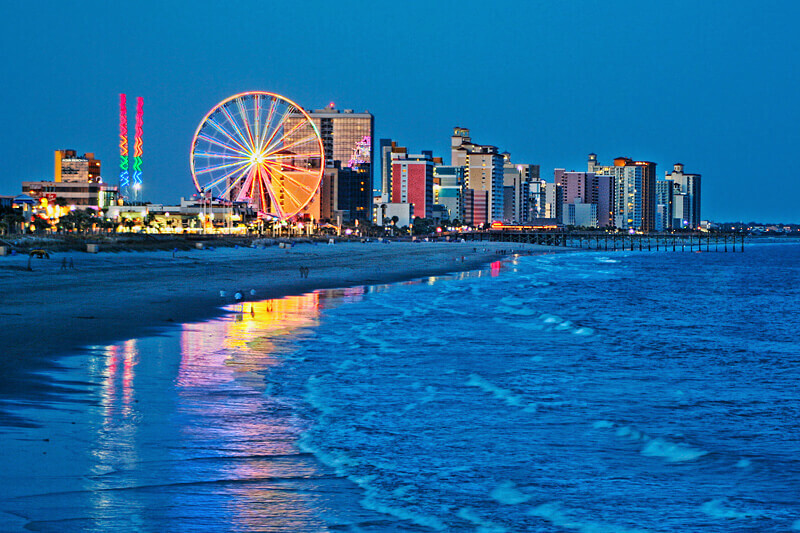 TOP GUN-USA SPORTS "BATTLE AT THE BEACH"
"WINNING TEAMS IN ALL AGES, ALL BRACKETS WILL RECEIVE THE TOP GUN-USA JUMBO CHAMPIONSHIP RINGS"
TOP GUN-USA SPORTS"BATTLE IN BENSON"
All WINNERS WILL RECEIVE A FREE PAID BERTH: 2019 SC SUMMER NATIONALS IN FLORENCE SC,2019 NC NATIONAL CHAMPIONSHIPS IN BENSON NC. TOP GUN-USA SPORTS"TIMKEN SEASON OPENER" "HEADPHONES "
"ALL WINNING TEAMS IN ALL AGES, ALL BRACKETS WILL RECEIVE (12) HEAD PHONES"
All Winners in all divisions will also receive a FREE PAID BERTH to all 8 TOURNAMENT OF CHAMPION EVENTS this is over a $2900.00 VALUE. 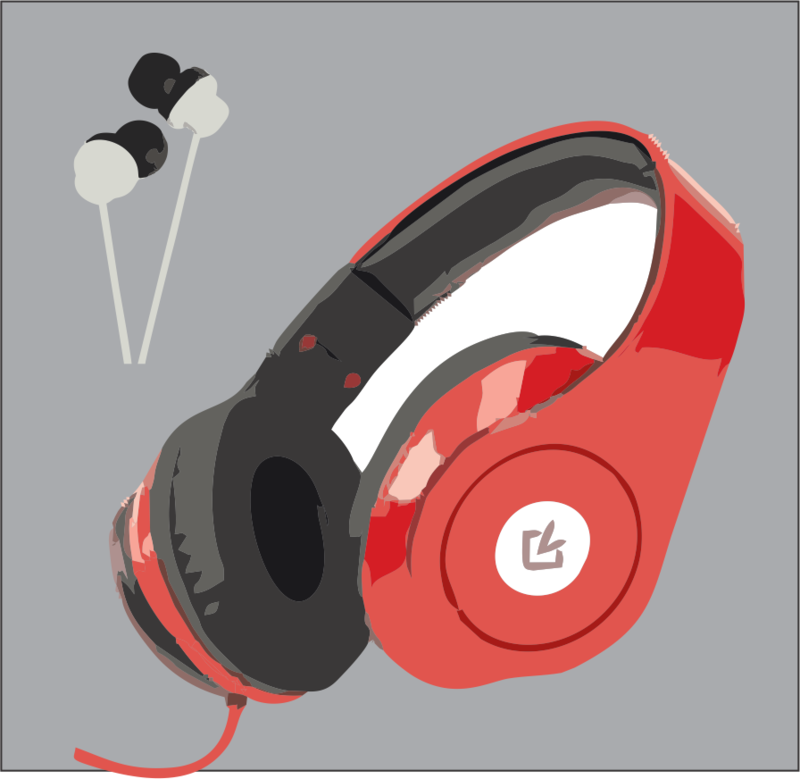 WINNING TEAMS IN ALL AGES, ALL BRACKETS, WILL RECEIVE (12) HEADPHONES. TOP GUN-USA SPORTS "BATTLE IN ASHEVILLE"
WE WILL ALSO BE USING HOMINY VALLEY RECREATION PARK TO HELP WITH CAPACITY THIS WEEKEND. ALL AGE GROUPS WILL FINISH AT BOB LEWIS COMPLEX. YOUR AGE GROUP MAY START AT HOMINY VALLEY THAT MORNING. 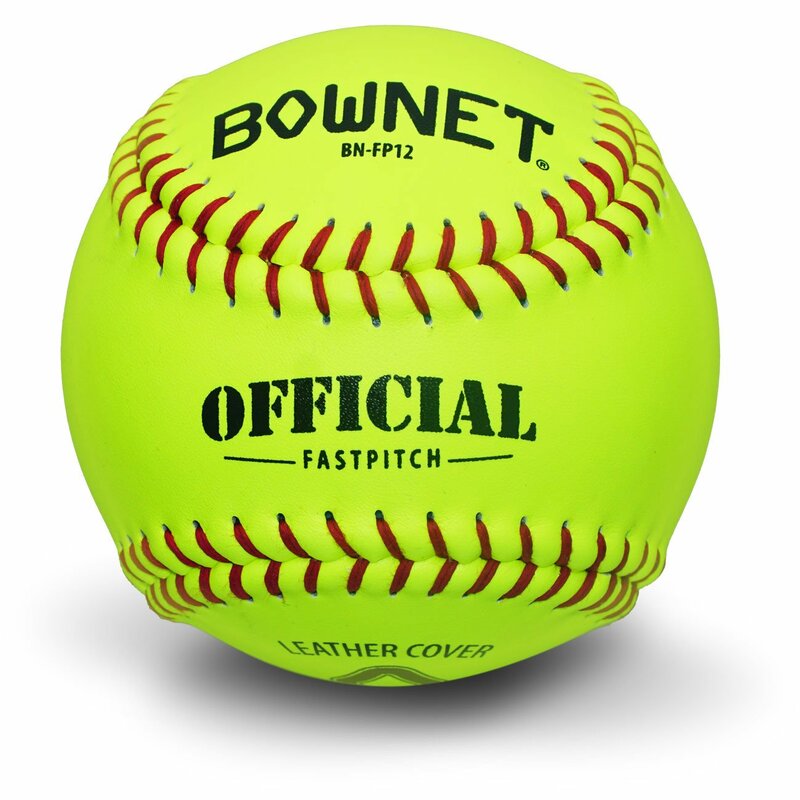 "WE ARE TAKING ONLY (24) TOTAL SOFTBALL TEAMS FOR THIS EVENT"
ALL TEAMS THAT ARE ENTERED AND ON THE WHO PLAYING LIST AS OF TUESDAY APRIL 23RD AT 5:00PM, WILL RECEIVE A SIX PACK OF BOWNET WEIGHTED BALLS. ALL TEAMS WILL PLAY (2) POOL GAMES TO SEED SINGLE ELIMINATION. TOP GUN-USA SUPPLIES ALL GAME BALLS. All Winners in all divisions will also receive a FREE PAID BERTH to all 8 TOURNAMENT OF CHAMPION EVENTS this is over a $2900.00 VALUE. 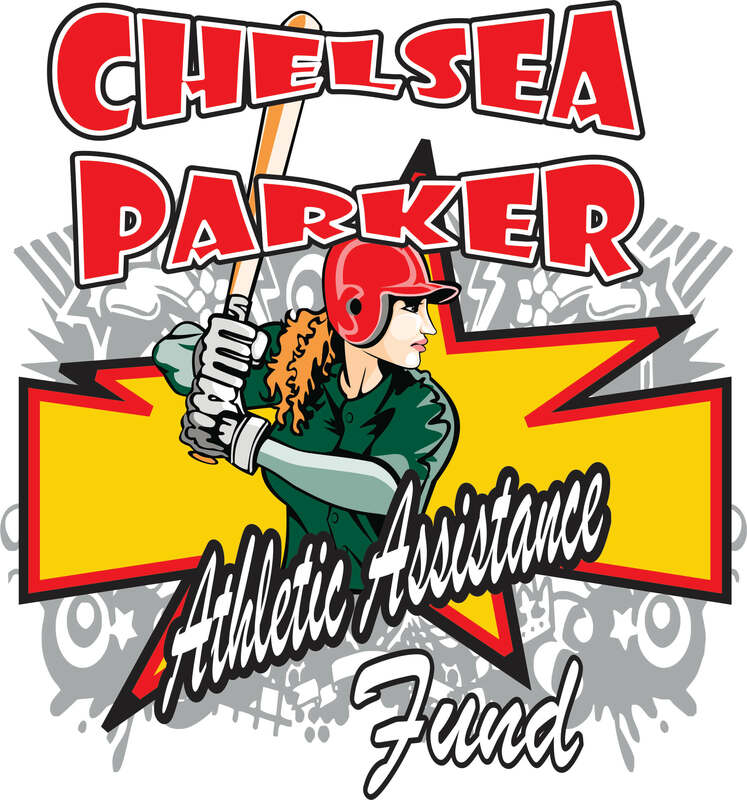 TOP GUN-USA SPORTS "BATTLE IN AIKEN"
TOP GUN-USA SPORTS "BATTLE IN FLORENCE"
TOP GUN-USA SPORTS "CHELSEA PARKER FUNDRAISER"
CHELSEA PARKER ATHLETE ASSISTANCE FUNDRAISER. 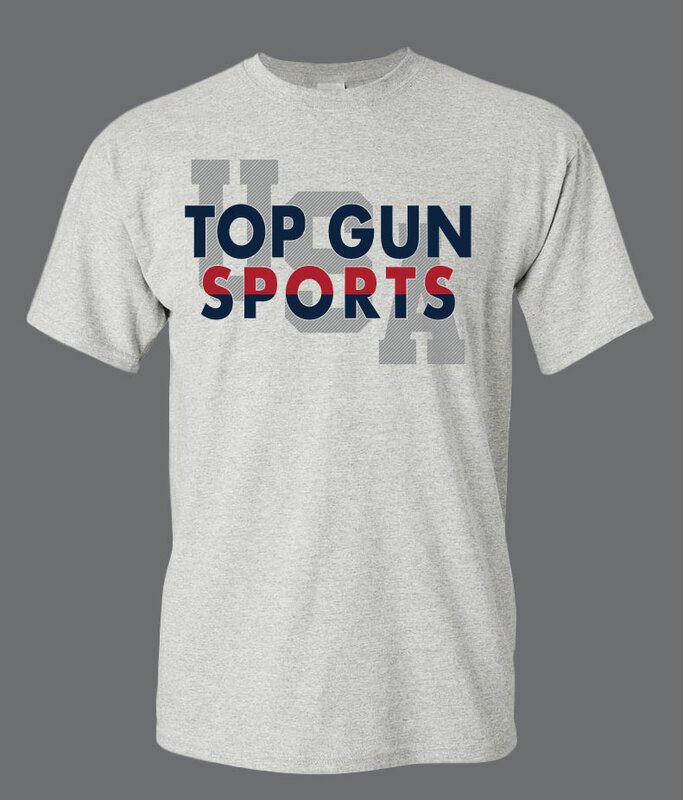 TOP GUN-USA SPORTS WILL GIVE PROCEEDS TO THE FUND. WINNERS WILL RECEIVE (12) TOP GUN-USA ARMSLEEVES. All Winners in all divisions will also receive a FREE PAID BERTH to all 8 TOURNAMENT OF CHAMPION EVENTS this is over a $2900.00 VALUE. TOP GUN-USA SPORTS "BATTLE IN GREENVILLE" "JUMBO CHAMPIONSHIPS RINGS"
"ROBIN PHILLIPS BRINGS TOP GUN-USA SPORTS TO GREENVILLE SOUTH CAROLINA"
"FIRST FIVE (5) TEAMS IN EACH AGE PLAY FOR FREE THIS WEEKEND"
"ALL PLAYERS IN THIS TOURNAMENT WILL RECEIVE A TOP GUN-USA BLUE TOOTH SPEAKER"
'WINNING TEAMS IN ALL AGES, ALL BRACKETS, WILL RECEIVE (12) TOP GUN-USA JUMBO CHAMPIONSHIP RINGS"
ALL PLAYERS WILL RECEIVE A TOP GUN-USA BLUE TOOTH SPEAKERS THIS WEEKEND. ALL WINNING TEAMS IN ALL AGES, ALL BRACKETS WILL RECEIVE JUMBO RINGS. All Winners in all divisions will also receive a FREE PAID BERTH to all 8 TOURNAMENT OF CHAMPION EVENTS this is over a $2900.00 VALUE. "ALL CHAMPIONS PLAYERS WILL RECEIVE A TOP GUN-SPORTS USA BELTS. TWEVLE (12) PER WINNING TEAM"
TOP GUN-USA SPORTS "BATTLE IN SUMTER"
"TOP GUN-USA ARMSLEEVES THIS WEEKEND"
"ALL WINNING TEAMS IN ALL AGES, ALL BRACKETS WILL RECEIVE (12) TOP GUN-USA SUBLIMATED ARM SLEEVES"
TOP GUN-USA SPORTS "BATTLE IN THE TRIAD"
"TOP GUN-USA SPORTS "VA. SPRING STATE CHAMPIONSHIPS"
TOP GUN-USA SPORTS "BATTLE FOR THE BLING"
WE WILL ALSO BE USING HOMINY VALLEY RECREATION PARK TO HELP WITH CAPACITY THIS WEEKEND. ALL AGE GROUPS WILL FINISH AT BOB LEWIS COMPLEX. YOUR AGE GROUP MAY PLAY AT HOMINY VALLEY AT SOME POINT THIS WEEKEND. "ALL WINNING TEAMS IN ALL AGES, ALL BRACKETS WILL RECEIVE TWELVE (12) JUMBO TOP GUN-USA RINGS"
"WE ARE TAKING ONLY TWENTY (20) TOTAL SOFTBALL TEAMS FOR THIS 2 DAY EVENT"
"2019 TOP GUN-USA SPORTS' "BATTLE IN LELAND"
TOP GUN-USA SPORTS"CINCO de MAYO CHAMPIONSHIPS" "ARM SLEEVES"
All Winners in all divisions will also receive a FREE PAID BERTH to all 8 TOURNAMENT OF CHAMPION EVENTS this is over a $2900.00 VALUE. ALL WINNERS IN ALL AGES, ALL BRACKETS, WILL RECEIVE (12) TOP GUN ARM SLEEVES. "2019 TOP SUN-USA SPORTS" "SPRING BLOW-OUT"
"WINNING TEAMS IN ALL AGES, ALL BRACKET WILL RECEIVE (12) TOP GUN-USA ARMSLEEVES"
All WINNERS WILL RECIEVE A FREE PAID BERTH TO : 2019 SC SUMMER NATIONALS IN FLORENCE SC,2019 NC NATIONAL CHAMPIONSHIPS IN BENSON NC. "ALL WINNING TEAMS IN ALL AGES, ALL BRACKETS WILL RECEIVE TWELVE (12) TOP GUN-USA TUMBLERS 30OZ STAINLESS STEEL"
On Field Flower Presentation For All Mom's. Jumbo Rings For Winner And Runner Up Teams. All Winners will also receive Championship rings As well as a FREE PAID BERTH to the following: 2019 Top Gun-USA Summer World Series, SC Summer Nationals, Tournament of Champions, Winter World Series and the Winter Nationals. "ALL WINNING TEAMS IN ALL AGES, ALL BRACKETS WILL RECEIVE A FREE PAID BERTH TO ALL THE"
ALL WINNING TEAMS WILL RECEIVE (12) TOP GUN-USA SPORTS ARMSLEEVES. All Winners in all divisions will also receive a FREE PAID BERTH to all 8 TOURNAMENT OF CHAMPION EVENTS this is over a $2900.00 VALUE. 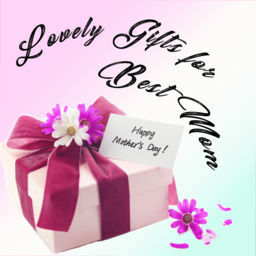 "SPECIAL GIFT TO ALL MOTHERS"
HAPPY MOTHER'S DAY WEEKEND TO ALL OF THE TOP GUN MOMS. EACH MOM WILL RECEIVE A SPECIAL GIFT COMPLIMENTS OF TOP GUN-USA SPORTS. All WINNERS WILL RECIEVE A FREE PAID BERTH TO: 2019 SC SUMMER NATIONALS IN FLORENCE SC, OR 2019 NC NATIONAL CHAMPIONSHIPS IN BENSON NC. 50/50 RAFFLE WITH 1 INDIVIDUAL WINNER AND 1 TEAM WINNER. HAPPY MOTHER'S DAY WEEKEND TO ALL OF THE TOP GUN MOMS. EACH MOM WILL RECEIVE A SPECIAL GIFT COMPLIMENTS OF TOP GUN-USA SPORTS.All WINNERS WILL RECIEVE A FREE PAID BERTH TO: 2019 SC SUMMER NATIONALS IN FLORENCE SC, OR 2019 NC NATIONAL CHAMPIONSHIPS IN BENSON NC. TOP GUN-USA SPORTS "MOTHER'S APPRECIATION"
"2019 TOP GUN-USA SPRING WORLD SERIES"
"CHAINS TO CHAMPIONS AND JUMBO RINGS TO RUNNER UP TEAMS"
All Winners will receive the NEW CHAMPIONSHIP CHAIN & Runner-Up teams will receive Jumbo Rings in addition to trophies and team plaques. Winners will also receive a FREE PAID BERTH TO THE FOLLOWING: 2019 Summer World Series, 2019 Tournament of Champions, 2019 Winter World Series and the 2019 Winter Nationals. TOP GUN-USA SPORTS "BATTLE IN THE TRIAD" BLUE TOOTH SPEAKERS"
TOP GUN-USA SPORTS "BATTLE IN THE MEADOW"
TOP GUN-USA SPORTS "VIRGINIA SHOWDOWN"
TOP GUN-USA SPORTS "MAY BLAST" 'BOWNET BUCKET OF SNAP BACK BALLS"
"ALL TEAMS ENTERED WILL RECEIVE A BUCKET OF BOWNET SNAP BACK PRACTICE BALLS"
All Winners in all divisions will also receive a FREE PAID BERTH to all 8 TOURNAMENT OF CHAMPION EVENTS this is over a $2900.00 VALUE. BUCKET OF BOWNET SNAP BACK BALLS TO EACH TEAM ENTERED. TOP GUN-USA SPORTS"BATTLE IN CARTHAGE"
TOP GUN-USA SPORTS "BENSON SHOWDOWN"
"WINNING TEAMS IN ALL AGES, ALL BRACKETS WILL RECEIVE (12) TOP GUN-USA BLUE TOOTH SPEAKERS"
ALL WINNERS WILL RECEIVE 12 TOP GUN-USA BLUETOOTH SPEAKERS IN ADDITION TO TROPHIES All WINNERS WILL RECIEVE A FREE PAID BERTH TO: 2019 SC SUMMER NATIONALS IN FLORENCE SC, 2019 NC NATIONAL CHAMPIONSHIPS IN BENSON NC. ALL WINNERS WILL RECEIVE 12 TOP GUN-USA BLUETOOTH SPEAKERS IN ADDITION TO TROPHIES.All WINNERS WILL RECIEVE A FREE PAID BERTH TO: 2019 SC SUMMER NATIONALS IN FLORENCE SC, 2019 NC NATIONAL CHAMPIONSHIPS IN BENSON NC. TOP GUN-USA SPORTS "1 Day Blowout"
All WINNERS WILL RECIEVE A FREE PAID BERTH TO: 2019 SC SUMMER NATIONALS IN FLORENCE SC, 2019 NC NATIONAL CHAMPIONSHIPS IN BENSON NC. TOP GUN-USA SPORTS "HARTSVILLE SHOWDOWN"
"TOP GUN-USA BLUE TOOTH SPEAKER THIS WEEKEND"
"ALL WINNING TEAMS IN ALL AGES, ALL BRACKETS WILL RECEIVE (12) TOP GUN-USA BLUE TOOTH SPEAKERS"
"2019 TOP GUN-USA SPORTS" "MAY DAY BLAST" "RED HOT PRICE"
TOP GUN-USA SPORTS "BATTLE IN GREENWOOD"
"TOP GUN-USA BLUE TOOTH SPEAKERS"
"ALL WINNING TEAMS IN ALL AGES, ALL BRACKETS, WILL RECEIVE (12) TOP GUN-USA BLUE TOOTH SPEAKERS"
TOP GUN-USA "MEMORIAL DAY BLOWOUT" "COACHES APPRECIATION"
"RED / WHITE / BLUE"
DOUBLE POINT WEEKEND. All Winners in all divisions will also receive a FREE PAID BERTH to all 8 TOURNAMENT OF CHAMPION EVENTS this is over a $2900.00 VALUE. BUCKET BAGS TO ALL TEAMS ENTERED !!! "2019 TOP GUN-USA SPORTS" "RED HOT PRICE---SUPER SUPER SAVER DAY"
"CHAMPIONS GET (12) CHAINS AND RUNNER UP GET (12)JUMBO RINGS"
SIGN-UP EARLY TO ENSURE YOUR SPOT. DOUBLE POINTS WEEKEND—ALL WINNERS WILL RECEIVE CHAINS AND RUNNER-UPS WILL RECEIVE JUMBO CHAMPIONSHIP RINGS IN ADDITION TO TROPHIES. WINNERS WILL RECEIVE A FREE PAID BERTH TO THE FOLLOWING EVENTS: 2019 WINTER WORLD SERIES AND THE 2019 WINTER NATIONAL CHAMPIONSHIPS.AS well All Winners in all divisions will also receive a FREE PAID BERTH to all 8 TOURNAMENT OF CHAMPION EVENTS this is over a $3800.00 VALUE. "TOP GUN-USA SPORTS "Memorial Day Shoot-OUT" "COACHES APPRECIATION"
"ALL TEAMS ENTERED IN THIS EVENT WILL RECEIVE A RED / WHITE / BLUE COACHES BUCKET BAG FROM TOP GUN-USA SPORTS"
DOUBLE POINT WEEKEND. All Winners in all divisions will also receive a FREE PAID BERTH to all 8 TOURNAMENT OF CHAMPION EVENTS this is over a $2900.00 VALUE. ALL TEAMS ENTERED WILL RECEIVE A RED/WHITE/BLUE BUCKET BAG. TOP GUN-USA SPORTS "MEMORIAL DAY BLAST" "BUCKET BAGS"
"ALL TEAMS ENTERED WILL RECEIVE A COACHES BUCKET BAG"
ALL TEAMS ENTERED WILL RECEIVE A BUCKET BAG. DOUBLE POINT WEEKEND. All Winners in all divisions will also receive a FREE PAID BERTH to all 8 TOURNAMENT OF CHAMPION EVENTS this is over a $2900.00 VALUE. TOP GUN-USA SPORTS "1 DAY SHOOT-OUT"
TOP GUN-USA SPORTS "COACHES APPRECIATION" BUCKET OF SNAPBACK BALLS"
"ALL TEAMS ENTERED WILL RECEIVE (12) BOWNET SNAP BACK PRACTICE BALLS"
TOP GUN-USA SPORTS "COACHES APPRECIATION" 'BUCKET OF SNAPBACK BALLS"
ALL TEAMS ENTERED WILL RECEIVE A BUCKET OF (24) SNAP BACK TRAINING BALLS JUST FOR ENTERING. ALL TEAMS WILL PLAY (2) POOL GAMES TO SEED SINGLE ELIMINATION. All WINNERS WILL RECIEVE A FREE PAID BERTH TO: 2019 SC SUMMER NATIONALS IN FLORENCE SC, & 2019 NC NATIONAL CHAMPIONSHIPS IN BENSON NC. 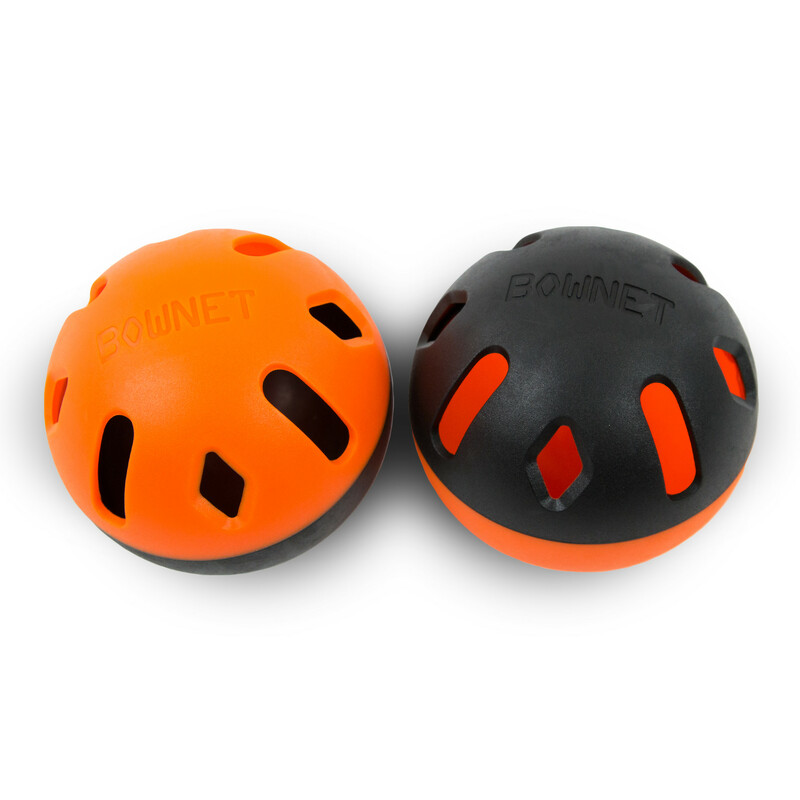 ALL TEAMS ENTERED WILL RECEIVE A (12) PACK OF BOWNET SNAP BACK TRAINING BALLS JUST FOR ENTERING. ALL TEAMS WILL PLAY (2) POOL GAMES TO SEED SINGLE ELIMINATION. WINNERS WILL RECEIVE A FREE PAID BERTH TO THE FOLLOWING: 2019 SUMMER WORLD SERIES, 2019 WINTER WORLD SERIES, 2019 WINTER NATIONALS AND ALL 8 TOURNAMENT OF CHAMPIONS. 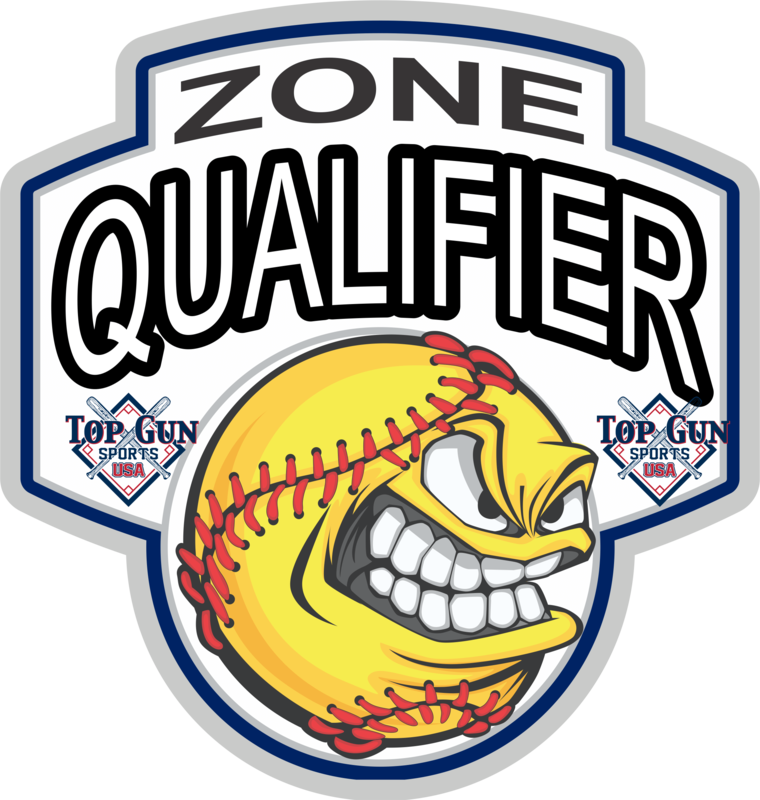 TOP GUN-USA SPORTS "ZONE QUALIFIER"
"ACTIVATE ALL YOUR SUMMER FREE PAID BERTHS THIS WEEKEND"
ALL TEAMS THAT HAVE A FREE PAID BERTH TO ANY SUMMER EVENTS INCLUDING BUT NOT LIMITED TO THE SUMMER WORLD SERIES, SUMMER NATIONALS, SC SUMMER NATIONALS, TOURNAMENT OF CHAMPIONS ETC. MUST PLAY IN A SUMMER ZONE QUALIFIER TO ACTIVATE THAT FREE BERTH. "ALL WINNING TEAMS IN ALL AGES, ALL BRACKETS WILL RECEVIE (12) TOP GUN-USA JUMBO CHAMPIONSHIP RINGS"
TOP GUN-USA SPORTS "COACHES APPRECIATION" "BUCKET OF SNAPBACK BALLS"
"ALL TEAMS ENTERED IN THIS EVENT WILL RECEIVE A BUCKET OF SNAPBACK PRACTIVE BALLS (24) FROM TOP GUN-USA SPORTS"
ALL TEAMS ENTERED WILL RECEIVE A BUCKET OF BOWNET SNAP BACK TRAINING BALLS (24) JUST FOR ENTERING. ALL TEAMS WILL PLAY (2) POOL GAMES TO SEED DOUBLE ELIMINATION. WINNERS WILL RECEIVE A FREE PAID BERTH TO THE FOLLOWING: 2019 WINTER WORLD SERIES, 2019 WINTER NATIONALS AND ALL 8 TOURNAMENT OF CHAMPIONS. TOP GUN-USA SPORTS "ZONE QUALIFIER" AGES 10U,14U,16U & HS ONLY!! 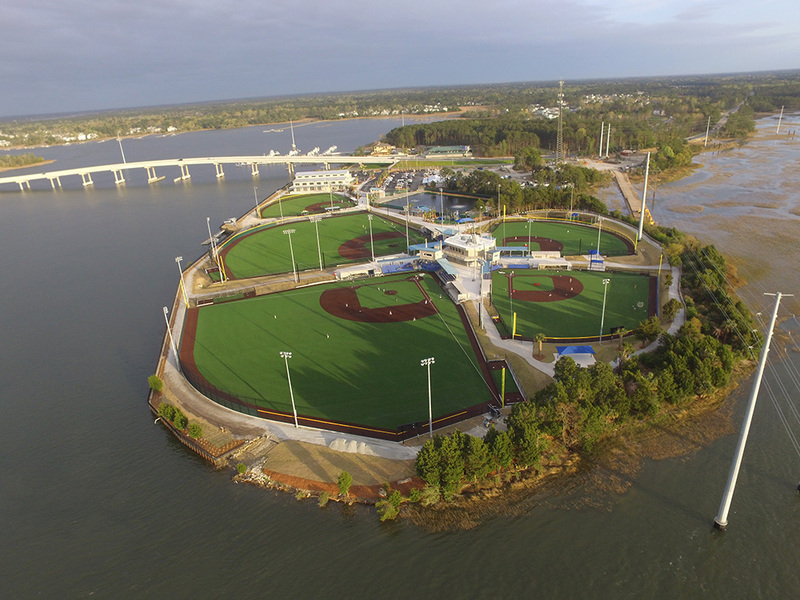 ALL TEAMS THAT HAVE A FREE PAID BERTH TO ANY SUMMER EVENTS INCLUDING BUT NOT LIMITED TO THE SUMMER WORLD SERIES, SUMMER NATIONALS, SC SUMMER NATIONALS MUST PLAY IN A SUMMER ZONE QUALIFIER TO ACTIVATE THAT FREE BERTH. All Winners in all divisions will also receive a FREE PAID BERTH to all 8 TOURNAMENT OF CHAMPION EVENTS this is over a $2900.00 VALUE. "ACTIVATE ALL YOUR FREE PAID BERTHS TO ALL THE WORLD SERIES AND NATIIONAL CHAMPIONSHIPS"
Spring Zone Activates Summer Free Paid Berths Only. TOP GUN COMES TO THE METRO DC AREA! 4 Events scheduled for 2019 in Sterling, VA! If the Champions in each age division entered and paid 60 days in advance they will receive a PAID (FREE) entry into the next Top Gun Event in Sterling, VA. Enter and pay for all 3 events at the same time and receive a $200 dollar discount. Enter and pay for the first two at the same time and receive a $100 discount. NEVER A GATE FEE IN ANY EVENT IN STERLING FOR SPECTATORS! All games Live Streamed for FREE at Potomack Lakes. Watch the games from anywhere on any device at www.yourgamecam.com. All events are run by Full-Time Loudoun County Parks and Rec Tournament Staff. ALL TEAMS THAT ENTER WILL RECEIVE 12 TOP GUN-USA T-SHIRTS FOR THEIR PLAYERS. ALL TEAMS THAT ENTER AND PAY 30 DAY PRIOR TO THE EVENT WILL GET A TOP GUN BALL BUCKET! TOP GUN-USA SPORTS "S.C. SUMMER STATE CHAMPIONSHIPS"
"SOUTH CAROLINA SUMMER STATE CHAMPIONSHIPS"
"ALL WINNERS IN ALL AGES, ALL BRACKETS, WILL RECEIVE (12) TOP GUN-USA JUMBO CHAMPIONSHIP RINGS"
ALL TEAMS THAT HAVE A FREE PAID BERTH TO ANY SUMMER EVENTS INCLUDING BUT NOT LIMITED TO THE SUMMER WORLD SERIES, SUMMER NATIONALS, SC SUMMER NATIONALS MUST PLAY IN A SUMMER ZONE QUALIFIER TO ACTIVATE THAT FREE BERTH. ALL TEAMS THAT HAVE A FREE PAID BERTH TO ANY SUMMER EVENTS INCLUDING BUT NOT LIMITED TO THE SUMMER WORLD SERIES, SUMMER NATIONALS, SC SUMMER NATIONALS MUST PLAY IN A SUMMER ZONE QUALIFIER TO ACTIVATE THAT FREE BERTH. All Winners in all divisions will also receive a FREE PAID BERTH to 7 TOURNAMENT OF CHAMPION EVENTS this is over a $2600.00 VALUE. TOP GUN-USA SPORTS "ZONE QUALIFIER" AGES 8U & 12U ONLY!! TOP GUN-USA SPORTS "1 DAY BOWNET SHOOT-OUT"
All Winners in all divisions will also receive a FREE PAID BERTH to 7 TOURNAMENT OF CHAMPION EVENTS this is over a $2600.00 VALUE.WINNING TEAMS IN ALL AGES, ALL BRACKETS WILL RECEIVE BOWNET BIG MOUTH BATTING NET. TOP GUN-USA SPORTS "WESTERN NC NEW CHAMPIONSHIPS CHAINS"
"2019 NEW BLING 2LB. CHAINS WEEKEND"
"ALL WINNING TEAMS IN ALL AGES, ALL BRACKETS WILL RECEIVE (12) TOP GUN-USA CHAMPIONSHIPS CHAINS"
All Winners in all divisions will also receive a FREE PAID BERTH to all 7 TOURNAMENT OF CHAMPION EVENTS this is over a $2600.00 VALUE. WINNERS IN ALL AGES, ALL BRACKETS WILL RECEIVE THE NEW CHAMPIONS CHAINS" WEIGHT IS 2 LBS. All WINNERS WILL RECIEVE A FREE PAID BERTH TO: 2019 SC SUMMER NATIONALS IN FLORENCE SC,& 2019 NC NATIONAL CHAMPIONSHIPS IN BENSON NC. ALL TEAMS THAT HAVE A FREE PAID BERTH TO ANY SUMMER EVENTS INCLUDING BUT NOT LIMITED TO THE SUMMER WORLD SERIES, SUMMER NATIONALS, SC SUMMER NATIONALS MUST PLAY IN A SUMMER ZONE QUALIFIER TO ACTIVATE THAT FREE BERTH. All Winners in all divisions will also receive a FREE PAID BERTH to all 7 TOURNAMENT OF CHAMPION EVENTS this is over a $2600.00 VALUE. TOP GUN-USA SPORTS "EASTERN SUMMER STATE CHAMPIONSHIPS"
"ALL WINNING TEAMS IN ALL AGES, ALL BRACKETS WILL RECEIVE (12) TOP GUN-USA CHAMPIONSHIP JUMBO RINGS"
TOP GUN-USA SPORTS "1 DAY GRIP AND RIP SHOOT-OUT"
"TOP GUN TOURNAMENT OF CHAMPIONS"
DOUBLE POINT WEEKEND. All Winners in all divisions will also receive a FREE PAID BERTH to 7 TOURNAMENT OF CHAMPION EVENTS this is over a $2600.00 VALUE. 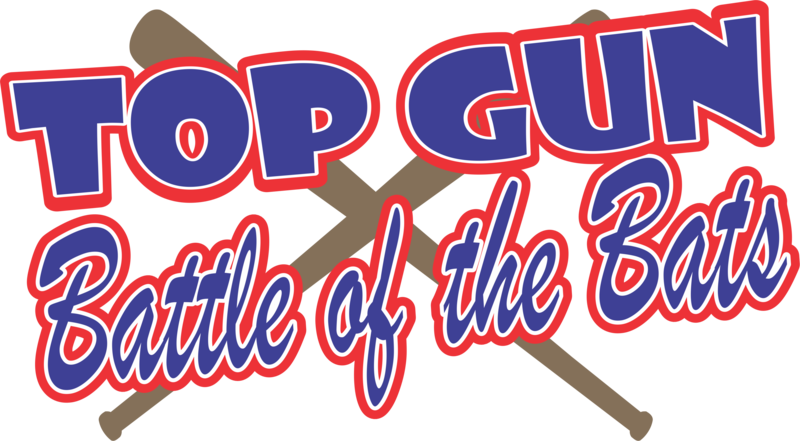 WINNERS AND RUNNER UP TEAMS IN ALL AGES, ALL BRACKETS WILL RECEIVE (12) TOP GUN-USA "GRIP AND RIP" BATTING GRIPS. DOUBLE POINT WEEKEND. All Winners in all divisions will also receive a FREE PAID BERTH to 7 TOURNAMENT OF CHAMPION EVENTS this is over a $2600.00 VALUE. TOP GUN-USA SPORTS "LAKE NORMAN SUMMER SOCK CLASH"
DOUBLE POINT WEEKEND. All Winners in all divisions will also receive a FREE PAID BERTH to 7 TOURNAMENT OF CHAMPION EVENTS this is over a $2600.00 VALUE.WINNING TEAMS IN ALL AGES, ALL BRACKETS, WILL RECEIVE (12) TOP GUN-USA SOFTBALL SOCKS. TOP GUN-USA SPORTS "TIMKEN SUMMER SOCK CLASH"
"WINNERS IN ALL AGES, ALL BRACKETS WILL RECEIVE (12) TOP GUN-USA SOCKS"
DOUBLE POINT WEEKEND. All Winners in all divisions will also receive a FREE PAID BERTH to 7 TOURNAMENT OF CHAMPION EVENTS this is over a $2600.00 VALUE. 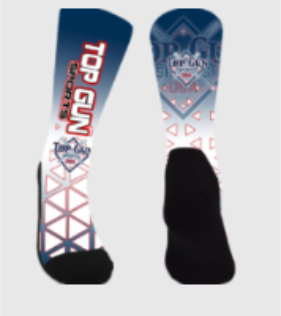 WINNING TEAMS IN ALL AGES, ALL BRACKETS WILL RECEIVE (12) TOP GUN-USA SOCKS. DOUBLE POINT WEEKEND. All Winners in all divisions will also receive a FREE PAID BERTH to 7 TOURNAMENT OF CHAMPION EVENTS this is over a $2600.00 VALUE.CHAMPIONS AND RUNNER UP TEAMS IN ALL AGES, ALL BRACKETS, WILL RECEIVE (12) TOP GUN-USA GRIP AND RIP BATTING GRIPS. TOP GUN-USA SPORTS " 1 DAY BLOW-OUT"
All WINNERS WILL RECIEVE A FREE PAID BERTH TO: 2019 SC SUMMER NATIONALS IN FLORENCE SC, & 2019 NC NATIONAL CHAMPIONSHIPS IN BENSON NC. TOP GUN-USA SPORTS "1 DAY SHOOT OUT"
"ALL PLAYERS WILL RECEIVE A TOP GUN-USA BLUE TOOTH SPEAKER"
DOUBLE POINT WEEKEND. BLUE TOOTH SPEAKERS TO ALL PLAYERS IN THIS TOURNAMENT. All Winners in all divisions will also receive a FREE PAID BERTH to 7 TOURNAMENT OF CHAMPION EVENTS this is over a $2600.00 VALUE. DOUBLE POINT WEEKEND All WINNERS WILL RECIEVE A FREE PAID BERTH TO: 2019 SC SUMMER NATIONALS IN FLORENCE SC, & 2019 NC NATIONAL CHAMPIONSHIPS IN BENSON NC. TOP GUN-USA SPORTS "1 DAY SHOOT-OUT" "GRIP AND RIP" BAT GRIP WEEKEND"
"NEW TOP GUN-USA GRIP AND RIP WEEKEND"
"CHAMPIONS AND RUNNERS UP TEAMS WILL RECEIVE (12) NEW TOP GUN-USA GRIP AND RIP BAT GRIPS"
"ACTIVATE ALL YOU SUMMER FREE PAID BERTH THIS WEEKEND"
TOP GUN- USA SPORTS "ZONE QUALIFIER"
"2019 POWERADE STATE GAMES" TOP GUN-USA SPORTS "ZONE QUALIFIER"
TRIPLE POINT WEEKEND---ZONE QUALIFIER ALL TEAMS THAT HAVE A FREE PAID BERTH TO ANY SUMMER EVENTS INCLUDING BUT NOT LIMITED TO THE SUMMER WORLD SERIES, SUMMER NATIONALS, SC SUMMER NATIONALS MUST PLAY IN A SUMMER ZONE QUALIFIER TO ACTIVATE THAT FREE BERTH. All Winners in all divisions will also receive a FREE PAID BERTH to 6 TOURNAMENT OF CHAMPION EVENTS this is over a $2200.00 VALUE. All Winners in all divisions will also receive a FREE PAID BERTH to 6 TOURNAMENT OF CHAMPION EVENTS this is over a $2200.00 VALUE. All WINNERS WILL RECIEVE A FREE PAID BERTH : 2019 SC SUMMER NATIONALS IN FLORENCE SC, & 2019 NC NATIONAL CHAMPIONSHIPS IN BENSON NC. TOP GUN-USA SPORTS' "SOUTH OF THE BORDER CLASSIC COACHES MAGNET BOARD"
"ALL TEAMS ENTERED WILL RECEIVE ONE (1) COACH MAGNET BOARD"
All Winners in all divisions will also receive a FREE PAID BERTH to 6 TOURNAMENT OF CHAMPION EVENTS this is over a $2200.00 VALUE. ALL TEAMS ENTERED WILL RECEIVE A COACHES CLIP MAGNET BOARD. 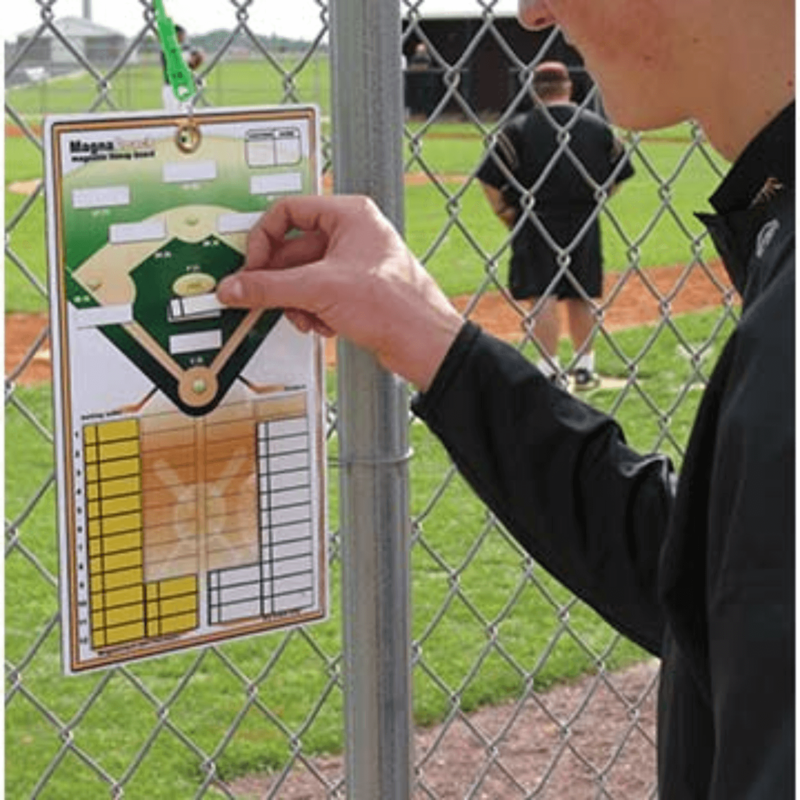 "WINNERS IN ALL AGES, ALL BRACKETS WILL RECEIVE (12) CHAMPIONSHIP JUMBO RINGS"
Teams must activate FREE PAID BERTHS that they have won for the Summer and Winter World Series by participating in one ZONE QUALIFER for the Summer and One ZONE QUALIFER for the Winter. See tournament schedule for a list of Qualifier dates.WINNERS IN ALL AGES, ALL BRACKETS WILL RECEIVE JUMBO CHAMPIONSHIP RINGS. All Winners in all divisions will also receive a FREE PAID BERTH to 6 TOURNAMENT OF CHAMPION EVENTS this is over a $2200.00 VALUE. "TOP GUN-USA SPORTS" "TOURNAMENT OF CHAMPIONS (TOC)"
"TOP GUN-USA SPORTS "VA. SUMMER STATE CHAMPIONSHIPS"
"NEW TOP GUN-USA JUMBO CHAMPIONSHIP RINGS"
2019 TOP GUN SPORTS-USA "NC SUMMER NATIONAL CHAMPIONSHIPS"
"NORTH CAROLINA SUMMER NATIONAL CHAMPIONSHIPS"
"ALL WINNING TEAMS IN ALL AGES, ALL BRACKETS WILL RECEIVE (12) TOP GUN-USA JUMBO CHAMPIONSHIP RINGS"
'TOP GUN-USA SPORTS "ZONE QUALIFIER"
TOP GUN-USA SPORTS "1 DAY SHOOTOUT" "FREE DOZEN SOFTBALLS"
"OUR NUMBER #1 REQUESTED PERK"
"ALL TEAMS ENTERED AND ON THE WHO PLAYING LIST BY 500PM TUESDAY WILL RECEIVE A DOZEN (12) SOFTBALLS"
ALL TEAMS ENTERED WILL RECEIVE A DOZEN (12) SOFTBALLS. All Winners in all divisions will also receive a FREE PAID BERTH to 4 TOURNAMENT OF CHAMPION EVENTS this is over a $1400.00 VALUE. ALL TEAMS THAT HAVE A FREE PAID BERTH TO ANY SUMMER EVENTS INCLUDING BUT NOT LIMITED TO THE SUMMER WORLD SERIES, SUMMER NATIONALS, SC SUMMER NATIONALS MUST PLAY IN A SUMMER ZONE QUALIFIER TO ACTIVATE THAT FREE BERTH. All Winners in all divisions will also receive a FREE PAID BERTH to 4 TOURNAMENT OF CHAMPION EVENTS this is over a $1400.00 VALUE. All Winners in all divisions will also receive a FREE PAID BERTH to 4 TOURNAMENT OF CHAMPION EVENTS this is over a $1400.00 VALUE. TOP GUN-USA SPORTS "GEORGIA TOURNAMENT OF CHAMPIONS"
"PLAY FREE THIS WEEKEND IF YOU HAVE WON A TOP GUN-USA SPORTS TOURNAMENT THIS SPRING/SUMMER"
TOP GUN-USA SPORTS "BEAST OF THE EAST"
ALL winners and Runner-ups will receive individual medals and a team plaque in addition to the other prizes. Teams must activate FREE PAID BERTHS that they have won for the Summer and Winter World Series by participating in one ZONE QUALIFER for the Summer and One ZONE QUALIFER for the Winter. See tournament schedule for a list of Qualifier dates. All Winners in all divisions will also receive a FREE PAID BERTH to 4 TOURNAMENT OF CHAMPION EVENTS this is over a $1400.00 VALUE. "TOP GUN-USA SPORTS EVENT" "TOURNAMENT OF CHAMPIONS"
ALL WINNING TEAMS IN ALL AGE, ALL BRACKETS ONLY WILL HAVE QUALIFIER TO THE "NATIONAL TOURNAMENT OF CHAMPIONS (NTOC)". 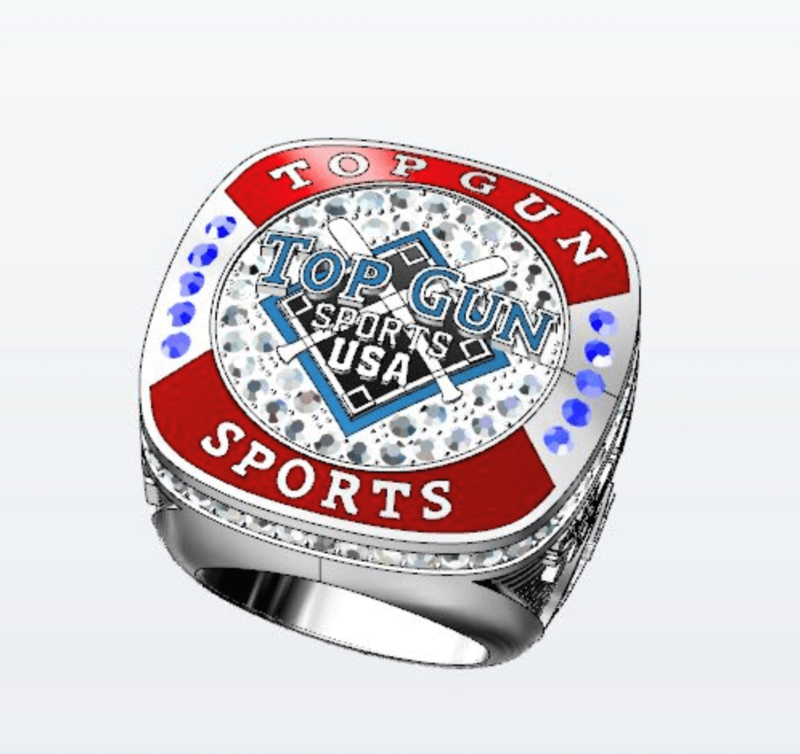 ALL WINNERS WILL RECEIVE 12 TOP GUN-USA JUMBO RINGS IN ADDITION TO TROPHIES AND TEAM PLAQUES. 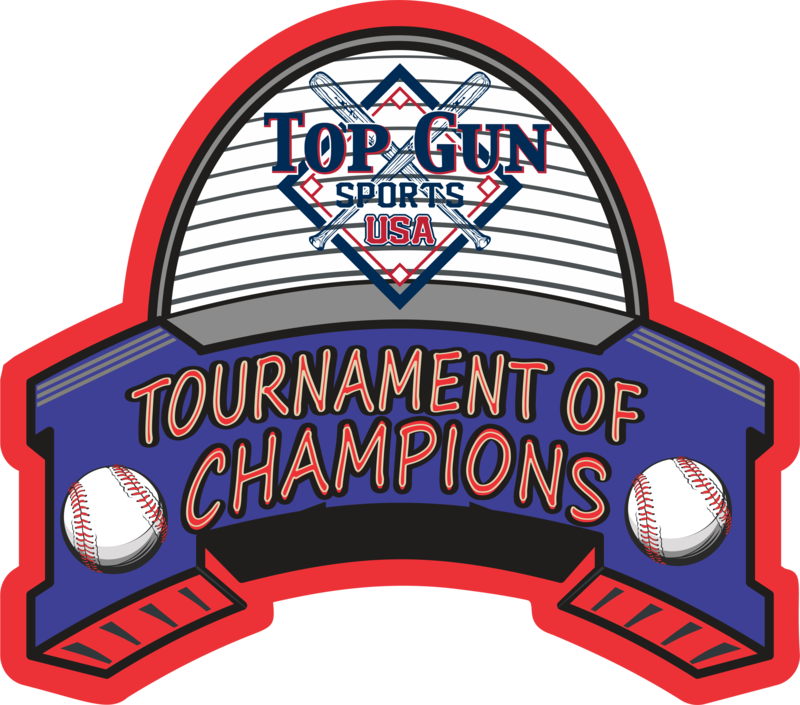 TOP GUN-USA SPORTS "SWING FOR THE TOP GUN-USA BRACELETS"
"WINNING TEAMS IN ALL AGES, ALL BRACKETS WILL RECEIVE (12) TOP GUN-USA PLAYER BRACELETS"
All Winners in all divisions will also receive a FREE PAID BERTH to 4 TOURNAMENT OF CHAMPION EVENTS this is over a $1400.00 VALUE. WINNING TEAMS IN ALL AGES, ALL BRACKETS WILL RECEIVE (12) TOP GUN-USA SOFTBALL BRACELETS. TOP GUN-USA SPORTS "WORLD SERIES WARM-UP"
TOP GUN-USA SPORTS "SUMMER BLOW-OUT"
"ALL TEAMS ENTERED THIS WEEKEND AND ON TEH WEB SITE BY 5:00PM TUESDDAY WILL RECEIVE A DOZEN (12) SOFTBALLS"
ALL TEAMS THAT ARE SIGNED UP AND ON THE WHO'S PLAYING LIST BY 5:00PM TUESDAY JULY 2ND WILL RECEIVE 1 DOZEN SOFTBALLS. WE WILL PRINT THE WHO'S PLAYING LIST ON TUESDAY AT 500PM AND IF YOUR TEAM NAME IS ON THAT LIST YOU WILL GET A DOZEN SOFTBALLS UPON ARRIVAL TO THE BALLPARK ON SATURDAY. "TOP GUN-USA SPORTS" "World Series Warm-UP" "CHAMPIONSHIP RINGS"
All Winners in all divisions will also receive a FREE PAID BERTH to 4 TOURNAMENT OF CHAMPION EVENTS this is over a $1400.00 VALUE. WINNING TEAMS IN ALL AGES, ALL BRACKETS WILL RECEIVE (12) TOP GUN-USA CHAMPIONSHIP JUMBO RINGS. 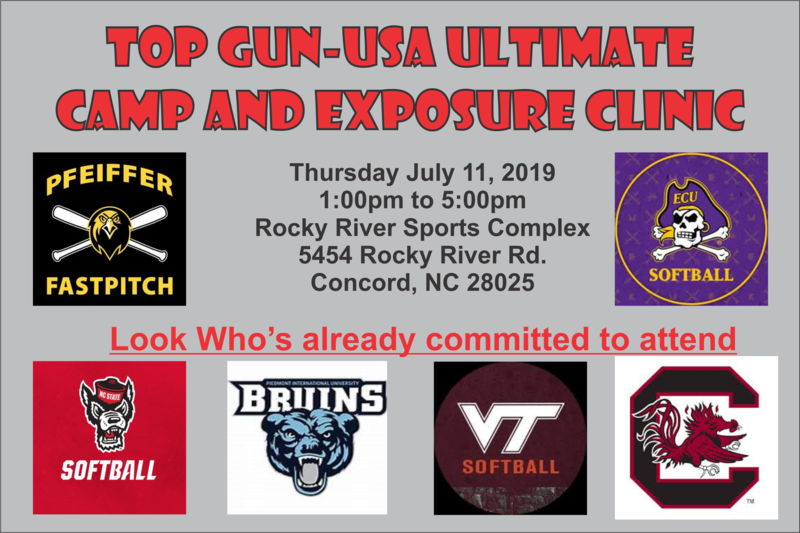 TOP GUN-USA SPORTS "ULTIMATE CAMP AND EXPOSURE CLINIC"
ULTIMATE CAMP AND EXPOSURE CLINIC. CAMP IS OPEN TO ANY PLAYER THAT IS IN THE TOP GUN-USA SUMMER WORLD SERIES. College Coaches Already Committed at this time. ALL PLAYERS SHOULD BRING ALL EQUIPMENT AND A SNACK TO HAVE DURING A COUPLE SHORT BREAKS. WATER WILL BE SUPPLIED. SPOTS WILL BE LIMITED TO ENSURE THAT EACH ATHLETE GETS THE ULTIMATE EXPERIENCE WITH COACHES. FEE IS $99.00 PER PLAYER. DEADLINE FOR ENTRIES WILL BE FRIDAY JULY 5TH 12:00 NOON. PLEASE CALL THE TOP GUN-USA SPORTS OFFICE TO GET SIGNED UP. 704-786-4754. WHOLE TEAM (11 OR MORE PLAYERS) DISCOUNTS AVAILABLE. TOP GUN-USA "SUMMER WORLD SERIES CHAMPIONSHIPS"
"COLLEGE CAMP AND PLAYER EXPOSURE"
"TEAMS FROM SEVEN (7) STATES BEING MARYLAND, TENNESSEE, WEST VIRGINIA, VIRGINIA, GEORGIA, SOUTH AND NORTH CAROLINA HAVE ALREADY ENTERED THIS EVENT"
This will be a 5-7 game event Friday, Saturday and Sunday. Opening Ceremonies that includes Skills Competitions, Home Run Derby, Road Runner Race, Around the Horn Competition, and our Annual Parent Relay Race. Parade of Athletes, Awards Ceremonies for Skill Winners, Thousand of Dollars in Prize Give-A-Ways to both Individual Athletes and Teams. New Glow in the Dark Party, with DJ Music, and Videos. Special Prizes for Best Glow Teams and Coaches. All families invited to participate. THIS EVENT HAS BEEN SELECTED BY TOP GUN-USA SPORTS TO BE VIDEOED BY STRAUSS STUDIOS AS A PART OF TOP GUN-USA SPORTS NATIONAL VIDEO. "TOP GUN-USA SPORTS EVENT" "MORE INFORMATION COMING SOON"
TOP GUN-USA SPORTS "SUMMER BRACELET SIZZLER"
TOP GUN-USA SPORTS "1 DAY SUPER SAVER"
TOP GUN-USA SPORTS "SUPER REGIONAL" "JERSEYS TO WINNERS"
"WINNING TEAM IN ALL AGES, ALL BRACKETS WILL GET TO ORDER (12) SUBLIMATED JERSEYS"
WINNERS IN ALL BRACKETS WILL RECEIVE (12) TEAM JERSEY'S AS WELL AS A FREE PAID BERTH TO THE FOLLOWING: 2019 WINTER WORLD SERIES AND THE 2019 WINTER NATIONALS. 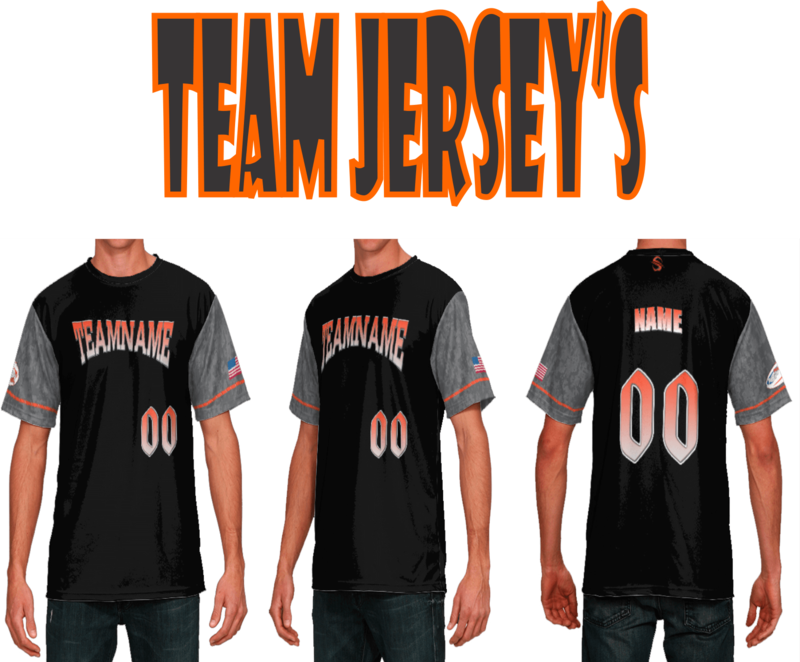 ALL WINNING TEAMS WILL RECEIVE 12 CUSTOM JERSEYS IN ADDITION TO INDIVIDUAL AWARDS. All Winners in all divisions will also receive a FREE PAID BERTH to 4 TOURNAMENT OF CHAMPION EVENTS this is over a $1400.00 VALUE. WINNING TEAMS IN ALL AGES, ALL BRACELETS, WILL RECEIVE (12) TOP GUN-USA SOFTBALL BRACELETS. 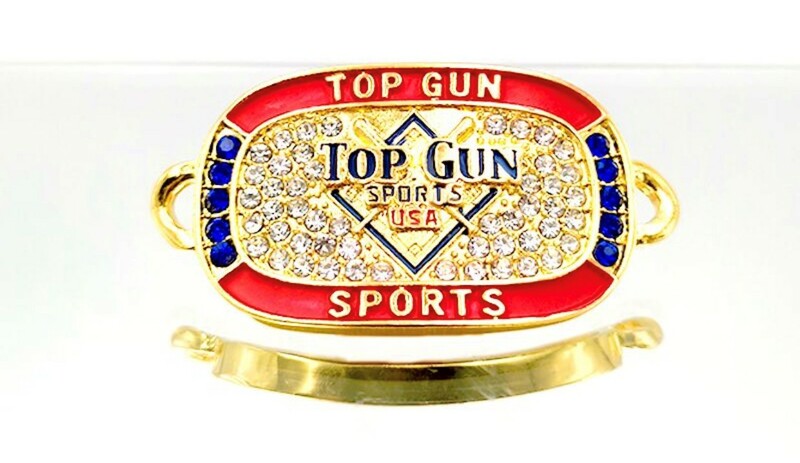 TOP GUN-USA SPORTS "SUMMER BLING---BRACELET SIZZLER"
All Winners in all divisions will also receive a FREE PAID BERTH to 4 TOURNAMENT OF CHAMPION EVENTS this is over a $1400.00 VALUE. ALL WINNING TEAMS IN ALL AGES, ALL BRACKETS WILL RECEIVE (12) TOP GUN-USA BRACELETS. "2019 TOP GUN-USA SPORTS" " RED HOT PRICE JULY JAMBOREE"
2019 TOP-GUN USA SPORTS" "SC SUMMER NATIONAL CHAMPIONSHIPS"
WINNERS IN ALL AGES AND ALL DIVISIONS WILL RECEIVE 12 JUMBO CHAMPIONSHIP RINGS IN ADDITION TO INDIVIDUAL AWARDS. "TOP GUN-USA SPORTS" "TOP GUN-USA BACK PACKS"
"TOP GUN-USA BACK PACK WEEKEND"
"WINNING TEAMS IN ALL AGES, ALL BRACKETS WILL RECEIVE (12) TOP GUN-USA BACK PACKS"
All Winners in all divisions will also receive a FREE PAID BERTH to 4 TOURNAMENT OF CHAMPION EVENTS this is over a $1400.00 VALUE. WINNING TEAMS IN ALL AGES, ALL BRACKETS WILL RECEIVE (12) TOP GUN-USA BACK PACKS. "TOP GUN-USA SOCK IT TO IT WEEKEND"
"WINNING TEAMS IN ALL AGES, ALL BRACKETS WILL RECEIVE (12) PAIRS OF TOP GUN-USA CUSTOM MADE SOCKS"
TOP GUN-USA SPORTS "SOCK IT TO IT"
"TOP GUN-USA SPORTS" "TOP GUN-USA STAINLESS STEEL TUMBLERS"
ALL WINNING TEAMS IN ALL AGES, ALL BRACKETS WILL RECEIVE (12) TOP GUN-USA STAINLESS STEEL TUMBLERS. 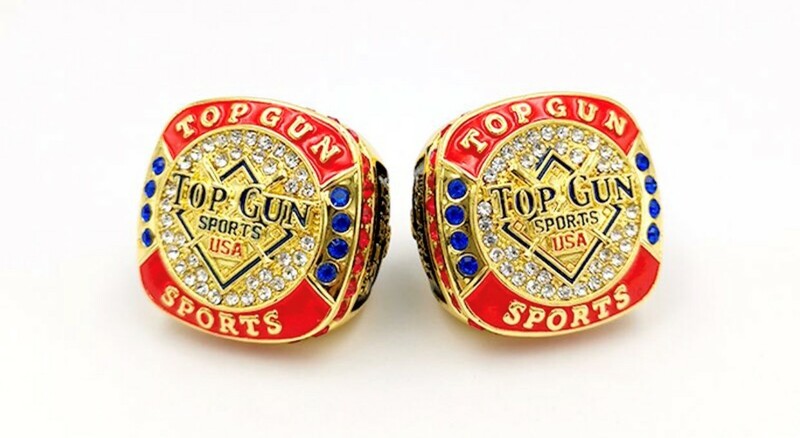 "TOP GUN-USA SPORTS EVENT" "SOCK IT TO IT"
TOP GUN-USA SPORTS "LEGENDS OF SUMMER RING CHAMPIONSHIPS"
ALL WINNERS WILL RECEIVE TOP GUN-USA SPORTS JUMBO CHAMPIONSHIP RINGS IN ADDITION TO TROPHIES. All Winners in all divisions will also receive a FREE PAID BERTH to 4 TOURNAMENT OF CHAMPION EVENTS this is over a $1400.00 VALUE. "TOP GUN-USA SPORTS" "VA. SUMMER NATIONAL CHAMPIONSHIPS"
"2019 VIRGINIA SUMMER NATIONAL CHAMPIONSHIPS"
ALL WINNERS IN ALL DIVISIONS WILL RECEIVE (12) TOP GUN-USA JUMBO CHAMPIONSHIP RINGS IN ADDITION TO INDIVIDUAL AWARDS. 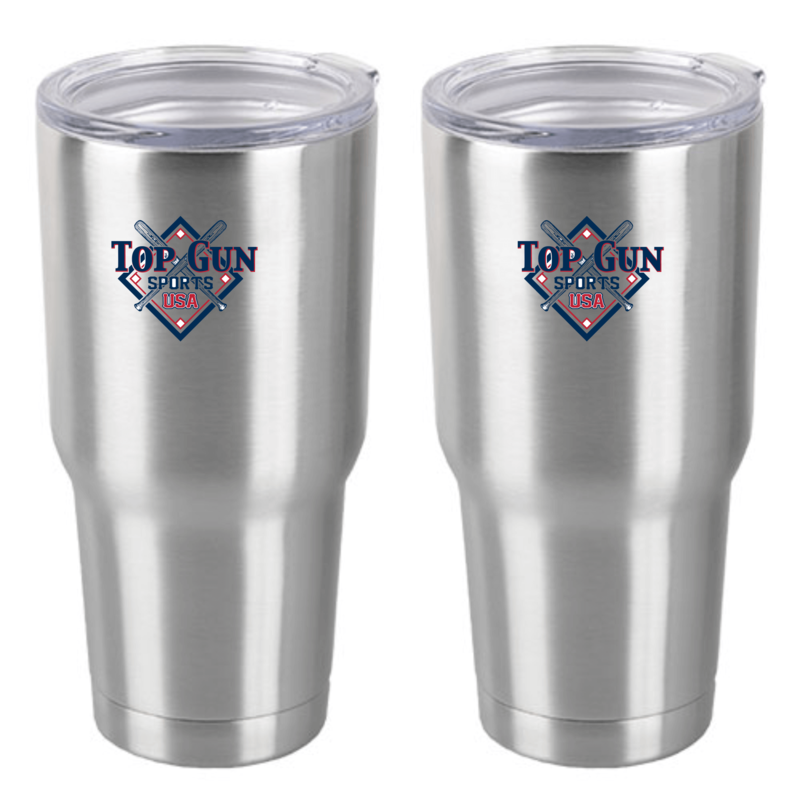 TOP GUN-USA SPORTS " SUMMER HEAT SERIES" "STAINLESS STEEL TUMBLERS"
ALL WINNING TEAMS WILL RECEIVE 12 TOP GUN-USA SPORTS TUMBLERS IN ADDITION TO TROPHIES. All Winners in all divisions will also receive a FREE PAID BERTH to 4 TOURNAMENT OF CHAMPION EVENTS this is over a $1400.00 VALUE. WINNERS IN ALL AGES, ALL BRACKETS WILL RECEIVE (12) TOP GUN-USA STAINLESS STEEL TUMBERS. TOP GUN-USA SPORTS "SUMMER HEAT SERIES"
"TOP GUN-USA SPORTS EVENT" " WILMINGTON BLING BLOW-OUT"
ALL WINNING TEAMS IN ALL AGES AND ALL DIVISIONS WILL RECEIVE 12 NEW CHAMPIONSHIP BRACELETS IN ADDITION TO INDIVIDUAL AWARDS. "TOP GUN-USA SPORTS EVENT" "SUMMER HEAT SERIES"
TOP GUN-USA SPORTS " TRIAD BLOW-OUT"
TOP GUN-USA SPORTS "KENLY BLING SHOOT-OUT"
ALL WINNING TEAMS IN ALL AGES, ALL BRACKETS WILL RECEIVE (12) TOP GUN-USA BRACELETS. 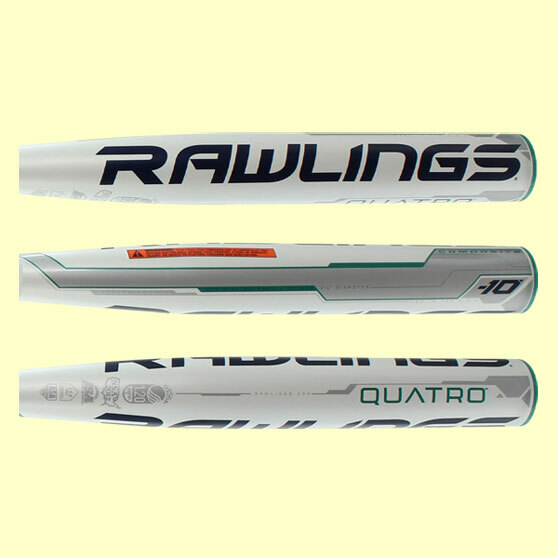 TOP GUN-USA SPORTS "SUPER REGIONAL"
"TOP GUN-USA SUBLIMATED JERSEY WEEKEND"
"ALL WINNING TEAMS IN ALL AGES, ALL BRACKETS WILL RECEIVE (12) SUBLIMATED JERSEYS"
All Winning teams in the GOLD Bracket will receive CHOICE OF 12 EASTON GHOST BATS OR 12 RAWLINGS QUATROS. (Providing there are 7 teams per bracket. NEW BATS with FULL WARRANTY. TOP GUN-USA SPORTS " SUMMER HEAT SERIES" "T-SHIRTS WEEKEND"
All Winners in all divisions will also receive a FREE PAID BERTH to 4 TOURNAMENT OF CHAMPION EVENTS this is over a $1400.00 VALUE.ALL WINNERS IN ALL AGES, ALL BRACKETS WILL RECEIVE (12) TOP GUN-USA T-SHIRTS. 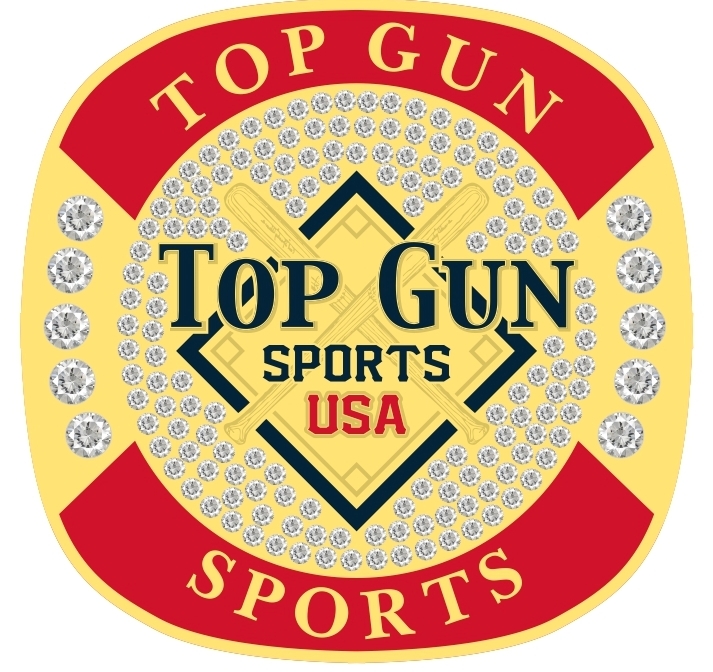 "TOP GUN-USA SPORTS" BATTLE FOR THE JUMBO BLING"
WINNING TEAMS IN ALL AGES AND ALL DIVSIONS WILL RECEIVE THE "NEW" JUMBO TOP GUN-USA SPORTS CHAMPIONSHIP RINGS IN ADDITION TO AWARDS. TOP GUN-USA SPORTS "SHELBY SHOOT-OUT" 'T-SHRITS"
"TOP GUN-USA SPORTS EVENT" "HENDERSONVILLE BLOW-OUT"
"TOP GUN-USA SPORTS EVENT" "SWING FOR THE STARS"
ALL WINNING TEAMS WILL RECEIVE 12 TOP GUN-USA SPORTS TUMBLERS IN ADDITION TO AWARDS. "ALL WINNING TEAMS WILL RECEIVE (12) TOP GUN-USA SPORTS TUMBLERS IN ADDITION TO AWARDS"
TOP GUN-USA SPORTS " SUMMER HEAT SERIES" "VISOR WEEKEND"
All Winners in all divisions will also receive a FREE PAID BERTH to 4 TOURNAMENT OF CHAMPION EVENTS this is over a $1400.00 VALUE. ALL WINNERS IN ALL AGES, ALL BRACKETS WILL RECEIVE (12) VISORS. "TOP GUN-USA SPORTS" SUMMER HEAT SERIES BLING-BRACELETS"
All Winners in all divisions will also receive a FREE PAID BERTH to 4 TOURNAMENT OF CHAMPION EVENTS this is over a $1400.00 VALUE. WINNING TEAMS IN ALL AGES, ALL BRACKETS WILL RECEIVE 912) TOP GUN-USA BRACELETS. 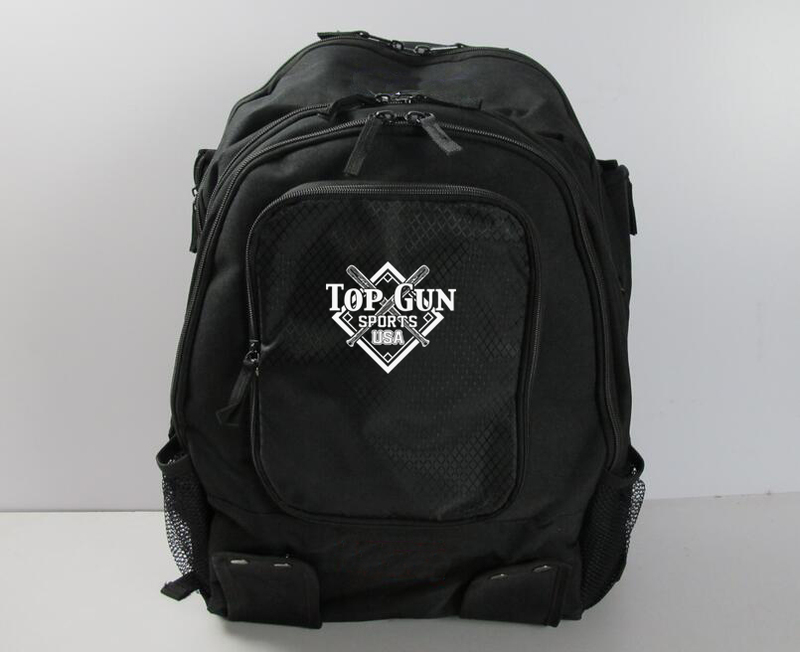 'TOP GUN-USA SPORTS EVENT" "SUMMER HEAT SERIES"
"ALL TEAMS THAT ENTER AND ARE ON THE WHO PLAYING LIST BE 5:00PM WEDNESDAY WILL RECEIVE A DOZEN SOFTBALL"
ALL WINNING TEAMS WILL RECEIVE 12 TOP GUN-USA SPORTS NEW BAT PACK BAGS IN ADDITION TO INDIVIDUAL AWARDS. "TOP GUN-USA SPORTS EVENT" "1 DAY BLOW-OUT"
"TOP GUN-USA SPORTS EVENT" "1 DAY SHOOT-OUT" 'VISORS"
All Winners in all divisions will also receive a FREE PAID BERTH to 4 TOURNAMENT OF CHAMPION EVENTS this is over a $1400.00 VALUE. WINNING TEAMS IN ALL AGES, ALL BRACKETS WILL RECEIVE (12) TOP GUN-USA VISORS. TOP GUN-USA SPORTS "BATTLE FOR THE BLING" "TOP GUN-USA BRACELETS"
"ALL WINNING TEAMS IN ALL AGES, ALL BRACKETS, WILL RECEIVE (12) TOP GUN-USA BACK PACKS"
"TOP GUN-USA SPORTS" "ONE DAY SUPER SAVER" "BLING 2LB. CHAINS"
"ALL WINNING TEAMS IN ALL AGES, ALL BRACKETS WILL RECEIVE (12) TOP GUN-USA 2.LB CHAINS"
All Winners in all divisions will also receive a FREE PAID BERTH to 3 TOURNAMENT OF CHAMPION EVENTS this is over a $1100.00 VALUE. ALL WINNING TEAMS IN ALL AGES, ALL BRACKETS WILL RECEIVE (12) TOP GUN-USA 2.LB CHAINS. "TOP GUN-USA SPORTS" "ONE DAY SUPER SAVER"
All Winners in all divisions will also receive a FREE PAID BERTH to 3 TOURNAMENT OF CHAMPION EVENTS this is over a $1100.00 VALUE. "TOP GUN-USA SPORTS EVENT" "BATTLE FOR THE RINGS"
"TOP GUN-USA SPORTS EVENT" "BLING BRACELETS"
"NEW TOP GUN -USA BLING BRACKETS"
"ALL WINNING TEAMS WILL RECEIVE (12) TOP GUN-USA NEW BRACELETS, ALL AGES, ALL BRACKETS"
All Winners in all divisions will also receive a FREE PAID BERTH to 3 TOURNAMENT OF CHAMPION EVENTS and the WINTER WORLD SERIES this is over a $1400.00 VALUE. All Winners in all divisions will also receive a FREE PAID BERTH to 3 TOURNAMENT OF CHAMPION EVENTS this is over a $1100.00 VALUE. WINNING TEAMS IN ALL AGES, ALL BRACKETS WILL RECEIVE (12) TOP GUN-USA BRACELETS. TOP GUN-USA SPORTS "TOP GUN-USA VISOR WEEKEND"
"ALL WINNING TEAMS, IN ALL AGES, ALL BRACKETS WILL RECEIVE (12) TOP GUN-USA VISORS"
ALL WINNING TEAMS IN ALL AGES, ALL BRACKETS, WILL RECEIVE (12) TOP GUN-USA VISORS. TOP GUN-USA SPORTS "TOURNAMENT OF CHAMPIONS (TOC)"
All Winners in all divisions will also receive a FREE PAID BERTH to 3 TOURNAMENT OF CHAMPION EVENTS this is over a $1000.00 VALUE. 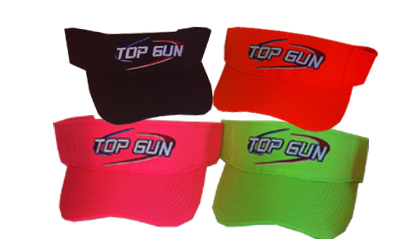 ALL WINNING TEAMS IN ALL AGES, ALL BRACKETS WILL RECEIVE (12) TOP GUN-USA VISOR. "TOP GUN-USA SPORTS EVENT" "1 DAY SHOOT-OUT"
TOP GUN-USA SPORTS" "ONE DAY SUPER SAVER"
TOP GUN-USA SPORTS "TOP GUN-USA T-SHIRTS WEEKEND"
"ALL PLAYERS ON ALL TEAMS WILL RECEIVE A TOP GUN-USA T-SHIRT THIS WEEKEND"
ALL TEAMS ENTERED WILL RECEIVE A TOP GUN-USA T-SHIRT. TOP GUN-USA SPORTS" " BATTLE FOR THE VISORS"
ALL WINNING TEAMS IN ALL AGES, ALL BRACKETS WILL RECEIVE (12) TOP GUN-USA VISORS. 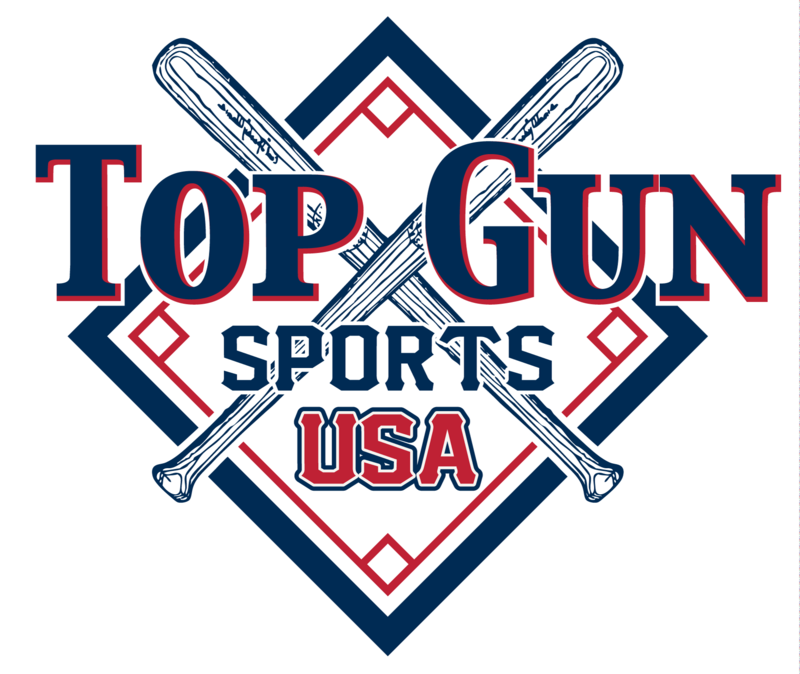 TOP GUN-USA SPORTS "1 Day Blowout" "TOP GUN-USA T-SHIRTS WEEKEND"
"PLUS ALL PLAYERS ON ALL TEAMS WILL RECEIVE A TOP GUN-USA T-SHIRTS THIS WEEKEND"
ALL TEAMS ENTERED WILL RECEIVE (12) TOP GUN-USA T-SHIRTS. TOP GUN-USA "CHELSEA PARKER FUNDRAISER"
All Winners in all divisions will also receive a FREE PAID BERTH to Fall Tournament of Champions in Sumter, SC Sept. 28-29 as well as in Chapin SC. Nov. 2-3. 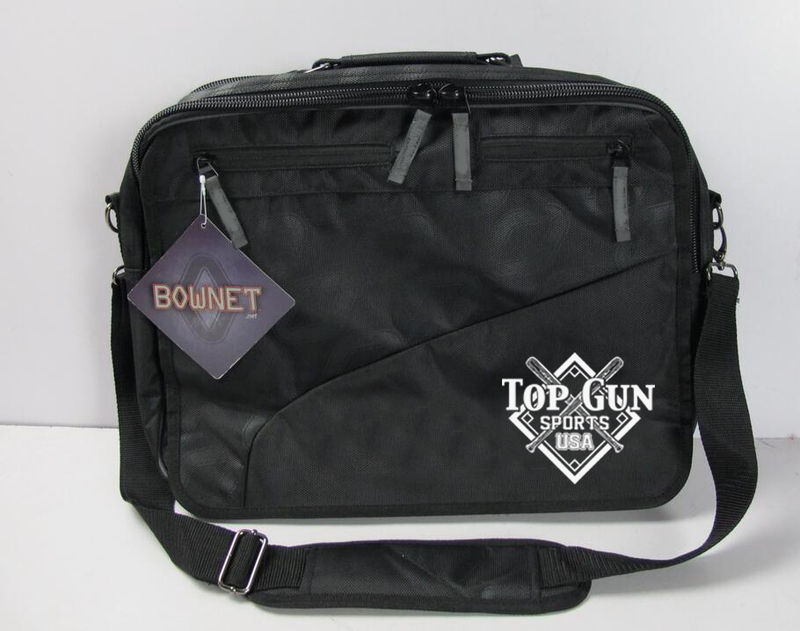 "TOP GUN-USA SPORTS" "ONE DAY SUPER SAVER" " COACHES APPRECIATION"
EACH TEAM WILL RECEIVE (1) TOP GUN-USA COACHES BAG. A SPECIAL THANK YOU FROM TOP GUN-USA SPORTS"
ALL COACHES WILL RECEIVE A TOP GUN-USA COACHES BRIEF CASE .All Winners in all divisions will also receive a FREE PAID BERTH to Fall Tournament of Champions in Sumter, SC Sept. 28-29 as well as in Chapin SC. Nov. 2-3. ALL WINNING TEAMS IN ALL AGES, ALL BRACKETS WILL RECEIVE (12) TOP GUN-USA JUMBO RINGS. 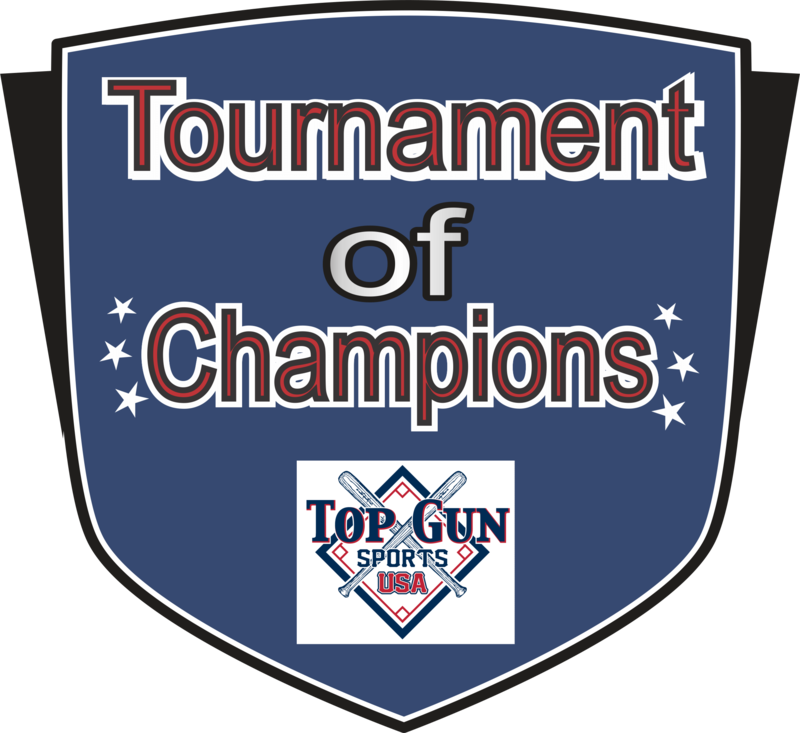 "TOP GUN-USA SPORTS EVENT" " TOP GUN-USA GRIP AND RIP WEEKEND"
"CHAMPIONS AND RUNNER UP TEAMS IN ALL AGES ALL BRACKETS WILL RECEIVE (12) TOP GUN-USA BAT GRIPS"
CHAMPIONS AND RUNNERS UP TEAMS IN ALL AGES, ALL BRACKETS WILL RECEIVE (12) TOP GUN-USA BATTING GRIPS. 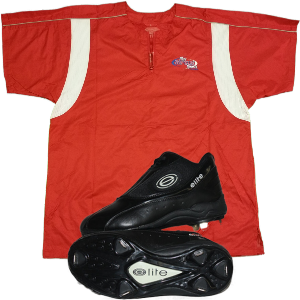 TOP GUN-USA SPORTS " "COACHES APPRECIATION DOZEN SOFTBALL"
"ALL TEAMS ENTERED WILL RECEIVE A DOZEN SOFTBALLS. A SPECIAL THANK YOU FROM TOP GUN-USA SPORTS"
ALL TEAMS ENTERED WILL RECEIVE A DOZEN TOP GUN-USA SOFTBALLS. TOP GUN-USA SPORTS" "DOUBLE PERK BOWNET WEEKEND"
ALL TEAMS ENTERED WILL RECEIVE A DOZEN OF BOWNET SNAP BACK BALLS. 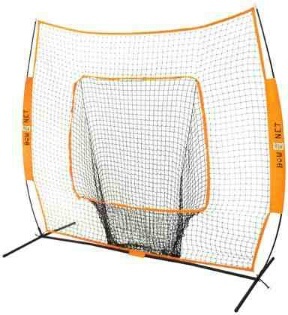 ALL WINNING TEAMS IN ALL AGES, ALL BRACKETS WILL RECEIVE A BOWNET BIG MOUTH NET. TOP GUN-USA SPORTS "5 GAME BLOW-OUT"
TOP GUN-USA SPORTS" " WALNUT CREEK FREE DOZEN SOFTBALLS"
"WALNUT CREEK---FREE DOZEN OF SOFTBALLS"
"ALL TEAMS ENTERED WILL RECEIVE A FREE DOZEN OF SOFTBALL"
ALL TEAMS ENTERED WILL RECEIVE A FREE DOZEN OF SOFTBALLS. TOP GUN-USA SPORTS" "TOURNAMENT OF CHAMPIONS (TOC)". TOP GUN-USA SPORTS "TOP GUN-USA GRIP AND RIP WEEKEND"
"TOP GUN-USA SPORTS" BATTLE FOR THE BLING" "2LB CHAIN WEEKEND"
ALL WINNERS IN ALL AGES ALL BRACKETS WILL RECEIVE (12) 2LB TOP GUN-USA CHAINS"
TOP GUN-USA SPORTS" "WALNUT CREEK---FREE DOZEN SOFTBALL"
"WALNUT CREEK---FREE DOZEN OF SOFTBALL"
ALL TEAMS ENTERED WILL RECEIVE A FREE DOZEN SOFTBALLS. 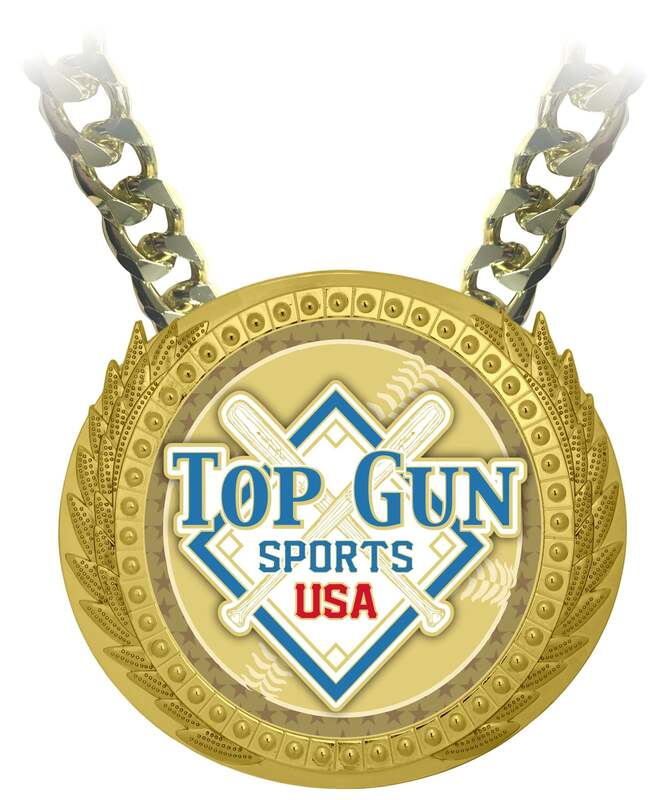 "TOP GUN-USA SPORTS EVENT" " TOP GUN-USA 2LB BLING CHAINS"
"2LB TOP GUN-USA CHAIN NECKLESS. ALL WINNERS IN ALL AGES ALL BRACKETS WILL RECEIVE (12) TOP GUN-USA 2.LB CHAINS"
ALL WINNING TEAMS IN ALL AGES, ALL BRACKETS WILL RECEIVE (12) 2LB CHAINS. "TOP GUN-USA SPORTS" " COACHES APPRECIATION DOZEN SOFTBALL"
ALL TEAMS WILL RECEIVE A DOZEN (12) SOFTBALLS THAT ARE ON THE wHO PLAYING ON TUESDAY AT 5:00PM. "TOP GUN-USA SPORTS EVENT" "2LB---BLING-CHAINS"
"NEW TOP GUN -USA BLING 2LB CHAINS"
"ALL WINNING TEAMS WILL RECEIVE (12) TOP GUN-USA NEW CHAINS, ALL AGES, ALL BRACKETS"
WINNERS IN ALL AGES, ALL BRACKETS WILL RECEIVE (12) 2LB CHAINS. TOP GUN-USA SPORTS "TOP GUN-USA 2LB BLING CHAINS"
TOP GUN-USA SPORTS "COACHES APPRECIATION DAY"
ALL TEAMS ENTERED WILL RECEIVE 1 "TOP GUN-USA SPORTS COACHES BRIEFCASE"
TOP GUN-USA SPORTS "MARION SHOOT-OUT"
TOP GUN-USA "ANNUAL BATTLE OF THE BATS"
ALL OF THESE 2020 NEW MODELS BATS ARE FOR DEMO HITTING. COME AND TEST HIT ALL THE NEW BATS. 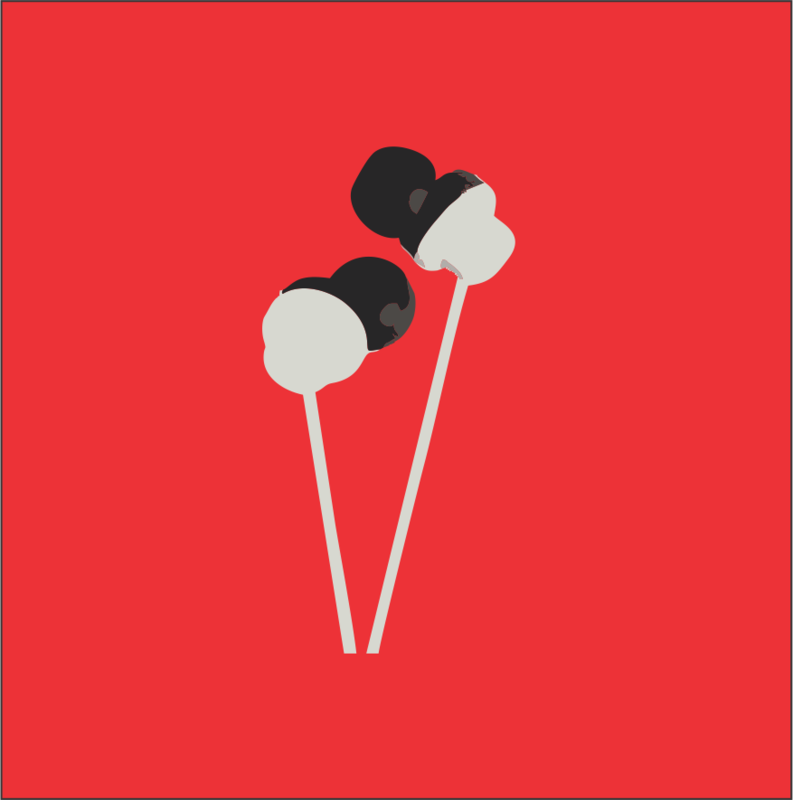 HIT AS MANY TIMES AS YOU LIKE. 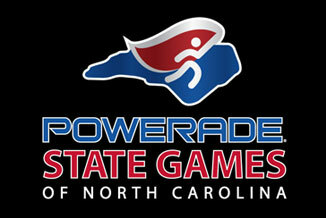 Winners in 10U-18U receive PAID Berth into Top Gun Winter Nationals in Myrtle Beach! This is a Top Gun Ring Event for the top two teams in each division! "TOP GUN-USA SPORTS EVENT" " BATTLE FOR THE QUATROS"
"CHAMPIONS IN ALL AGES, ALL BRACKETS WILL RECEIVE ONE (1) RAWLINGS QUATRO BAT"
TOP GUN-USA SPORTS "BATTLE FOR THE QUATROS"
TOP GUN-USA SPORTS" "BLING WEEKEND" NEW TOP GUN-USA 2.LB CHAINS"
ALL WINNING TEAMS IN ALL AGES ALL DIVISIONS WILL RECEIVE 12 TOP GUN-USA TUMBLERS IN ADDITION TO TOURNAMENT AWARDS. ALL TEAMS THAT ARE ENTERED AND PRE-PAID BY TUESDAY SEPTEMBER 24TH WILL RECEIVE A BUCKET OF BALLS (THESE ARE THE SAME BALLS WE SUPPLY FOR TOURNAMENTS) ALL TEAMS WILL PLAY (2) POOL GAMES TO SEED SINGLE ELIMINATION. TOP GUN-USA SUPPLIES ALL GAME BALLS. 'TOP GUN-USA" " TOURNAMENT OF CHAMPIONS'" "JUMBO RINGS"
ALL WINNING TEAMS IN ALL AGE, ALL BRACKETS ONLY WILL HAVE QUALIFIER TO THE "NATIONAL TOURNAMENT OF CHAMPIONS (NTOC)". ALL WINNING TEAMS IN ALL AGES ALL BRACKETS WILL RECEIVE 12 JUMBO CHAMPIONS RINGS. 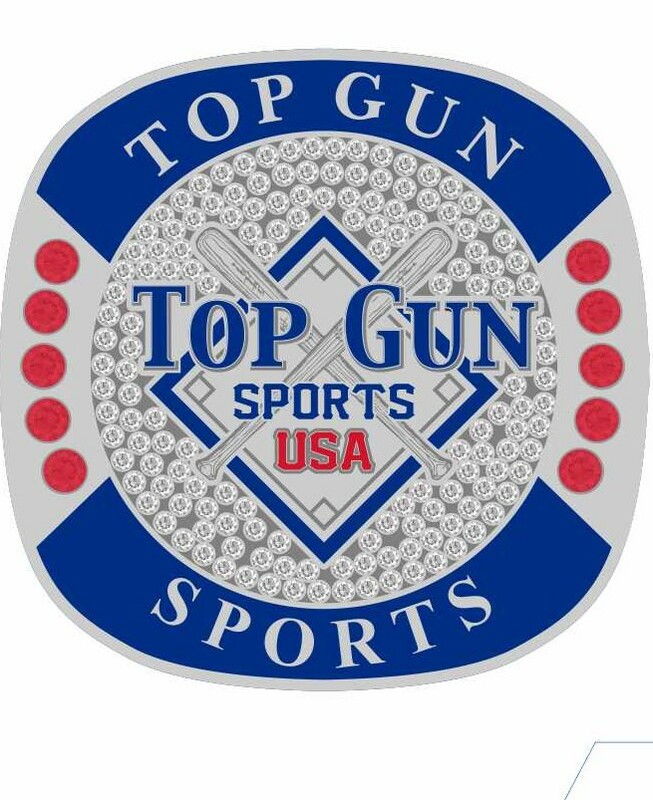 "TOP GUN-USA SPORTS" "CHAMPIONSHIPS RINGS WEEKEND"
WINNING TEAMS IN ALL BRACKETS ALL AGES WILL RECEIVE (12) TOP GUN-USA JUMBO CHAMPIONSHIPS RINGS. 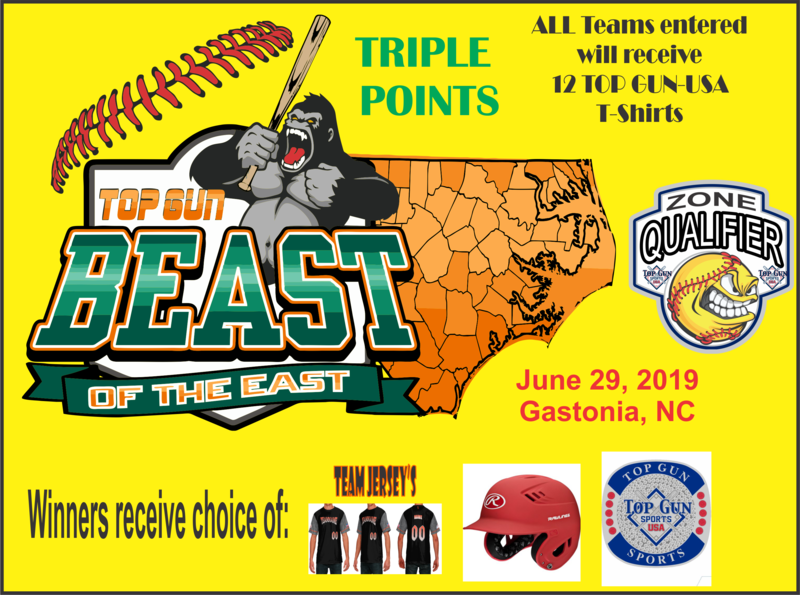 "TOP GUN-USA SPORTS EVENT" "FALL BRAWL IN ASHEVILLE"
"TOP GUN-USA SPORTS EVENT" "COACHES APPRECIATION DOZEN OF SOFTBALLS"
"ALL TEAMS ENTERED IN THIS EVENT AT 500PM ON TUESDAY, WILL A DOZEN SOFTBALLS PER TEAM FROM TOP GUN-USA SPORTS"
ALL TEAMS ENTERED WILL RECEIVE A DOZEN SOFTBALLS. 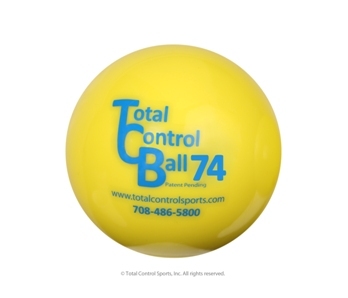 TOP GUN-USA SPORTS "COACHES APPRECIATION WEEKEND" "DOZEN OF SOFTBALLS"
"ALL TEAMS ENTERED THIS WEEKEND AND ON THE WEBSITE BY 5:00PM TUESDDAY WILL RECEIVE A DOZEN (12) SOFTBALLS"
ALL TEAMS ENTERED BY 5:00PM ON TUESDAY WILL RECEIVE A DOZEN TOP GUN SOFTBALLS. TOP GUN-USA SPORTS "COACHES APPRECIATION" " DOZEN SOFTBALLS"
ALL TEAMS ENTERED BY 5:00PM TUESDAY WILL RECEIVE A DOZEN SOFTBALLS. TOP GUN-USA SPORTS" " COACHES APPRECIATION DOZEN SOFTBALLS'"
TOP GUN-USA SPORTS' "SUPER SAVER"
TOP GUNS - USA SPORTS "1 Day Blowout"